Come and meet our people during our recruitment drive to be held at the EFRU Headquarters and training school on Saturday 29th December. This is being organised as part of a project funded by the #SIS (Small Initiatives Scheme). 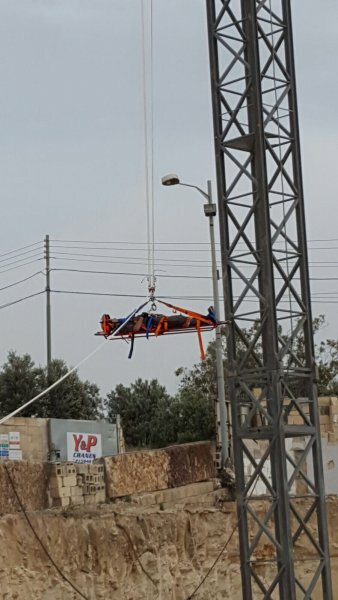 EFRU’s volunteers are dedicated people who constantly train to save lives. They are committed individuals who love working in a team environment and who take pride in helping others. 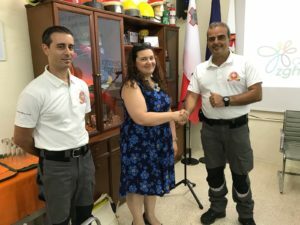 For this reason we are holding a recruitment drive in conjunction with the Malta Council for the Voluntary Sector during the ‘Voluntary Organisations Fair’ to create more awareness about our team and the work it does within the local community as well as on an international platform through Evolsar. 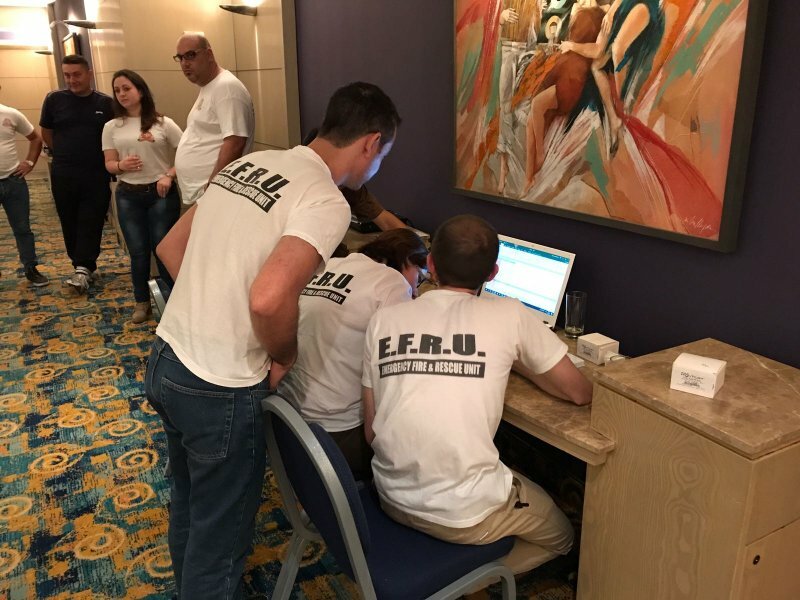 The EFRU committee takes recruitment very seriously and is committed to find competent individuals who are carefully evaluated by means of an interview. 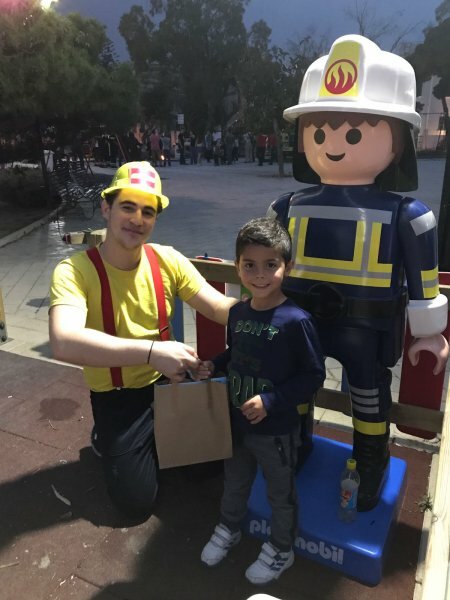 Furthermore the applicant is made aware of the work EFRU conducts within the local community and beyond, such that the applicant can evaluate the commitment required and what is expected from an EFRU volunteer. 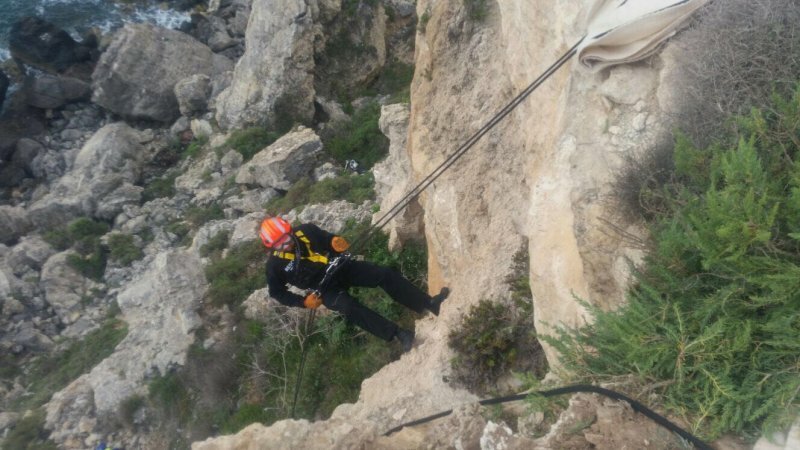 As one might presume, the scenarios that our people prepare themselves for, are not for the faint-hearted, so any volunteer needs to attend training periodically to attain and maintain the rescuer’s preparedness. 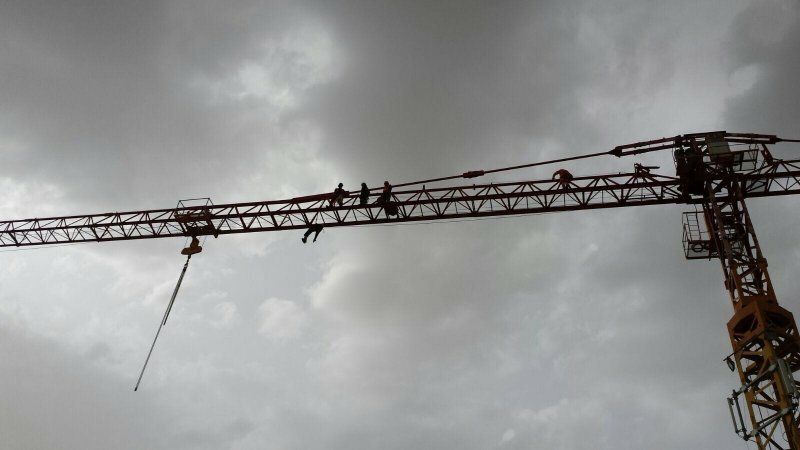 Untrained persons present an elevated risk during an operation and would be a liability to the rest of the team. 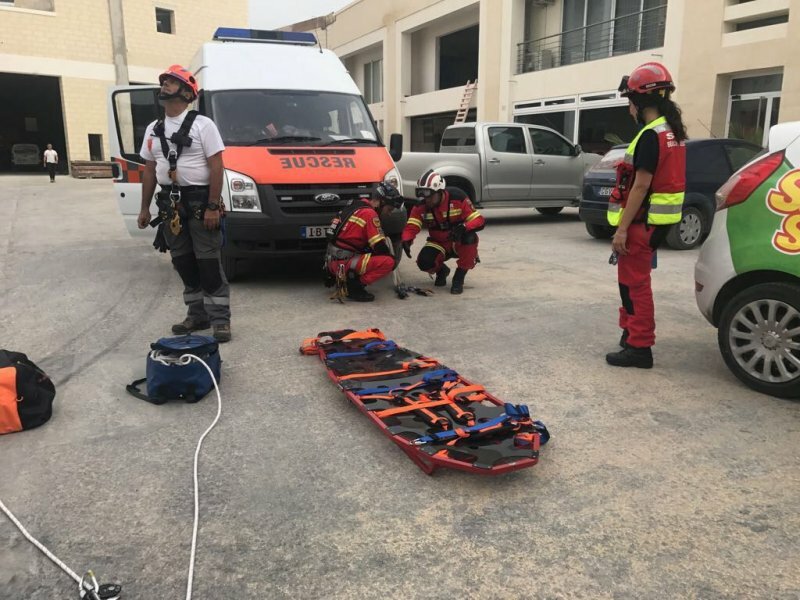 Training for EFRU recruits, kicks off with Basic Rescue and First Aid. 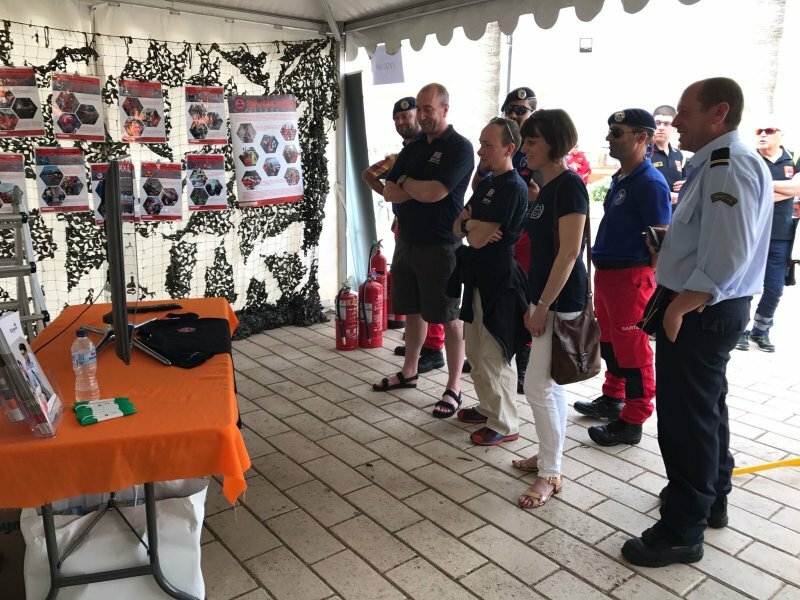 The EFRU is able to offer all the training necessary in both disciplines internally. 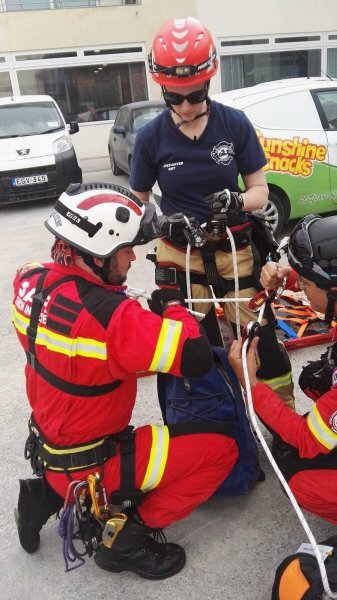 After mastering knots, ladder work, casualty handling, basic firefighting and all the other subjects that form the Basic Rescue Course, an EFRU volunteer will be introduced to the more advanced disciplines of rope, fire and USAR (Urban, Search & Rescue). Interested to join? Unable to attend? Contact us on [email protected] and we will get in touch. The EFRU has been established since 2006. It has built upon strong #Volunteering principles of the founder members and today boasts of a solid team of trained rescuers that is growing in experience and capabilities, year after year.Our objectives: #Rescue preparedness for emergencies both locally and abroad.Our members:Men & Women from all walks of life, with varied professional backgrounds, sharing the same values and objectives towards saving lives.#Multidisciplined #HighlyCommitted #EFRUfamily #TightlyKnit BE PART OF IT!Get in touch with us now on info@efru.net or visit our website on www.efru.org to show your interest to join.Meet our team at the upcoming Recruitment Drive: https://www.facebook.com/events/356422931791649/#JoinEFRU #Recruitment #MakeAnImpact #BePartOfOurSuccess#TakingPrideInHelpingOthers"Volunteers are not paid – Not because they are Worthless but because they are Priceless"
We are currently planning our next cycling tour in Sicily. This will be held in April, on the 5th and the 6th. At that time of year, the weather should be cool, which will surely be welcomed by those participating. Also, we are aware that this year (2018), the price was a factor in getting less participants, such that we had to postpone the tour. 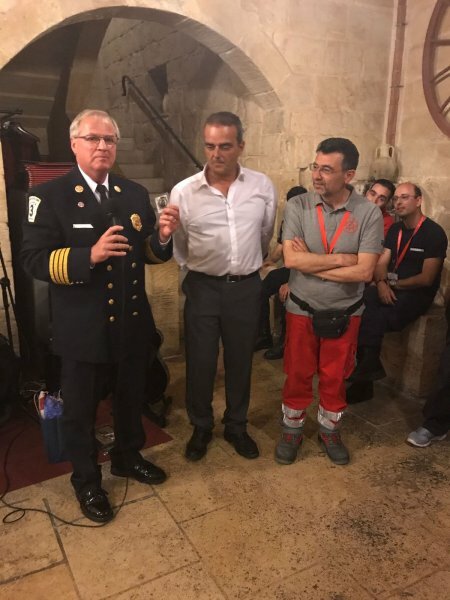 This was also due to the fact that the new route starting from Catania necessitated flights by Air Malta which due to the late booking were very expensive. 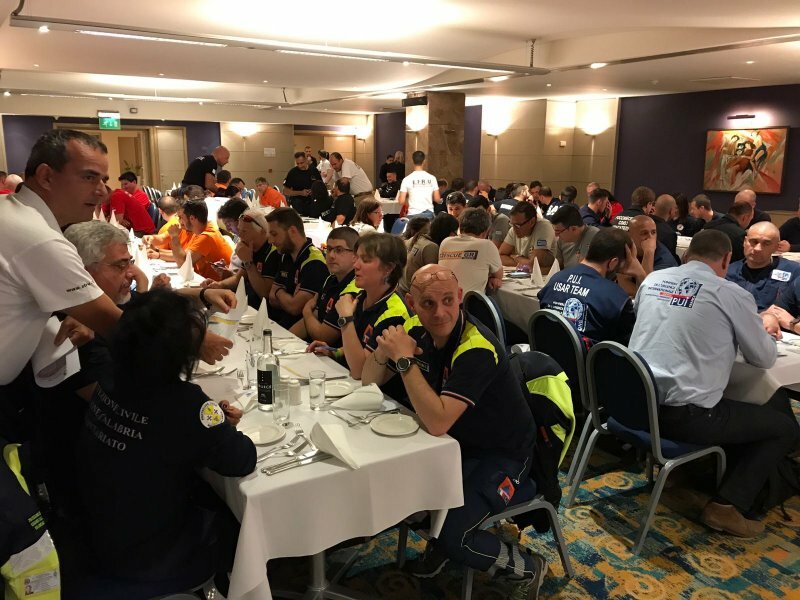 With your collaboration, we plan to book our logistics for the next tour early on such that we envisage to keep the participation donation for the whole tour on the lines of previous years, not exceeding EUR 375. 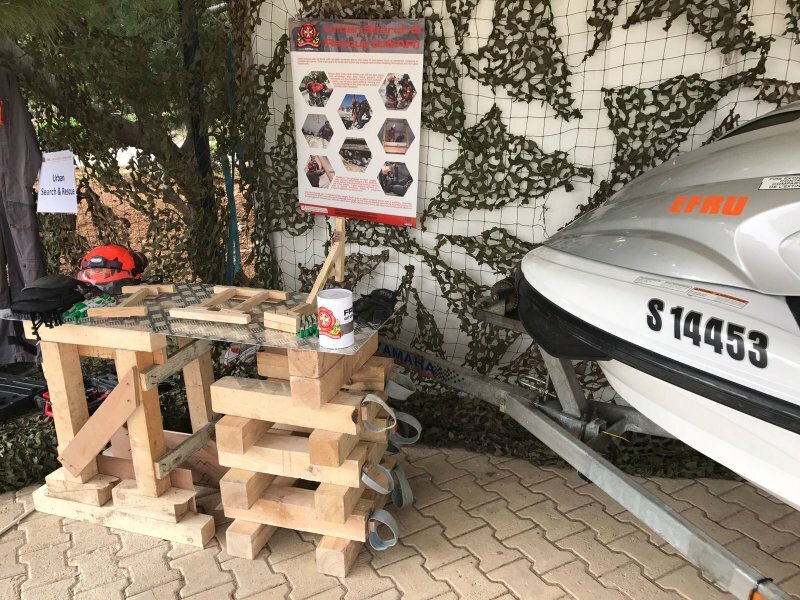 Furthermore, due to your concerns, we are also tackling logistics for the bikes to be transferred to Sicily by truck instead of by air. Another edition of the EFRU Sicily Cycling Tour is fast approaching, this year changing the starting point to Catania. This permits us to explore a new cycling route, circling around Etna, past the vineyards gracing its northern slopes and reaching as far inland as Regalbuto (Enna region) with its picturesque lake and surrounding terrain, before heading back to Catania. An overnight stay in a comfortable agriturismo will permit the cyclists to recharge before tackling the second day of cycling. There will be support vehicles taking care of logistics, refreshments and seeing to the safety of the cyclists. That was Ivan’s first, unfiltered, spur-of-the-moment reaction to the editorial team when we politely informed him that he’s going to have to contribute to this quarterly’s newsletter with an overview of 2017! We also politely informed him that that phrase alone won’t cut it – we really wanted to give you our readers a better read than that! 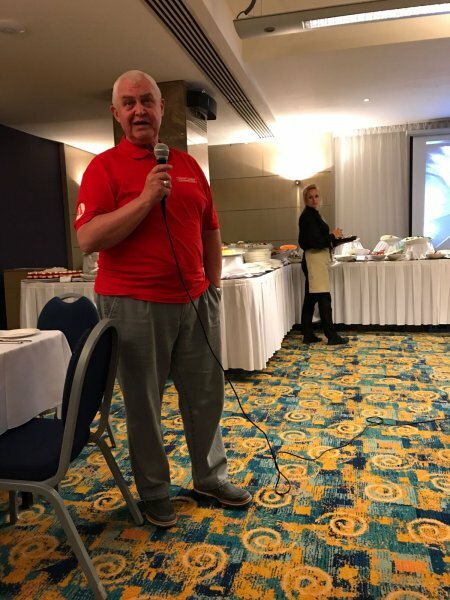 – and that, as our much-loved director, he was going to have to give us a few lines and some honest thoughts about all that made 2017 a significant year for the EFRU. And a few lines and tons of great memories are really not hard to come by for someone who devotes, quite literally, most of his life to this great team. So here goes, straight from the horse’s mouth: our last year, in review. 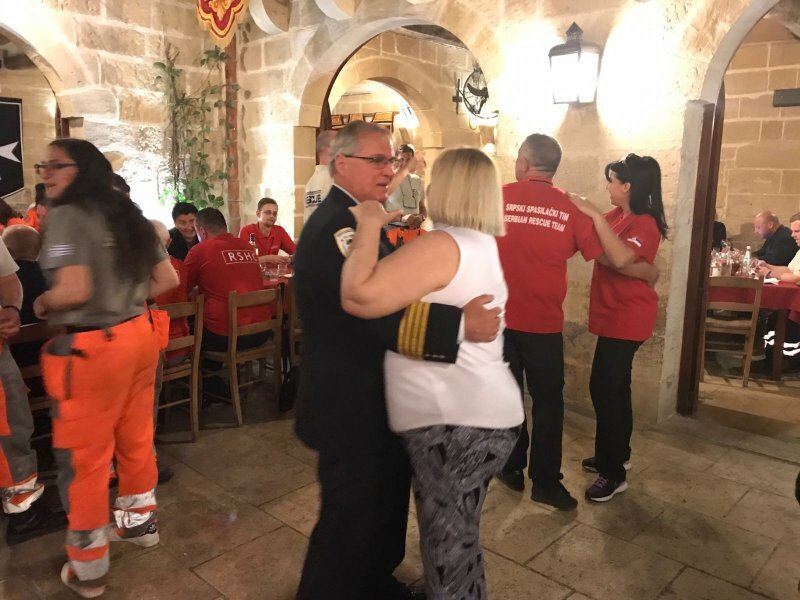 Like other years before it, 2017 brought with it the regular events such as training on Saturday afternoons, duties in aid of other organisations such as Puttinu Cares and the Malta Hospice Movement amongst others, as well as other duties in support of the CPD such as Isle of MTV and the massive fire at the WasteServ plant in Marsaskala in which the EFRU’s human resource and capabilities were put to an arduous test. 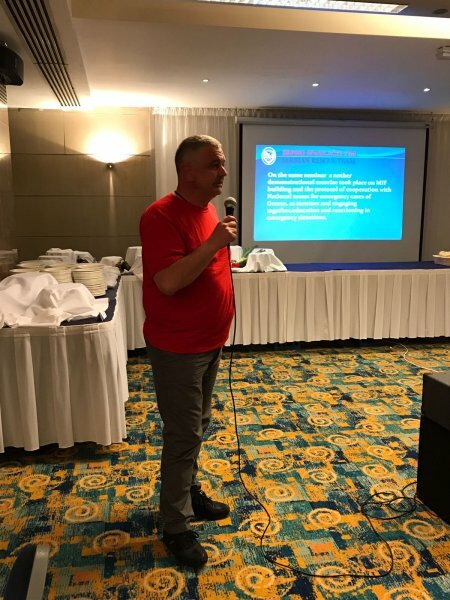 Also, once again the EFRU was involved in the various training programmes for third parties (ranging from private entities to state institutions) in basic and refresher First Aid courses. 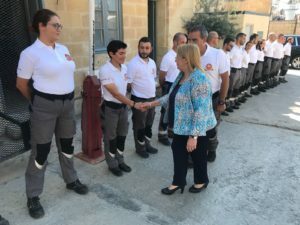 August is definitely a month to remember as we were honoured by a visit from the Honourable Minister Dr Michael Farrugia who during a meeting with all the members, promised to assist in our plight to obtain more adequate premises for our operation and training. Yet, by far, 2017 will be ever so important for the milestones it set in the history of the EFRU. 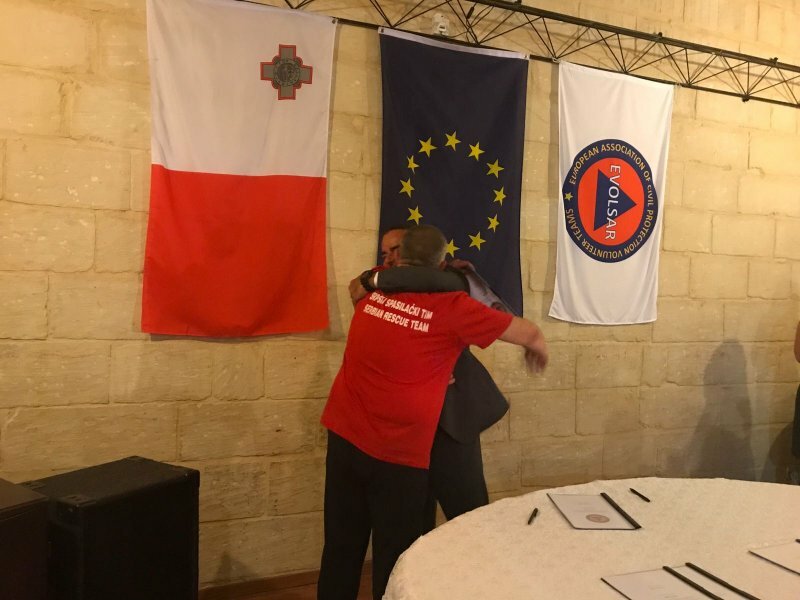 From now on, it will remain forever synonymous with the closing event of the ERASMUS+ funded project which was held in Malta in May. 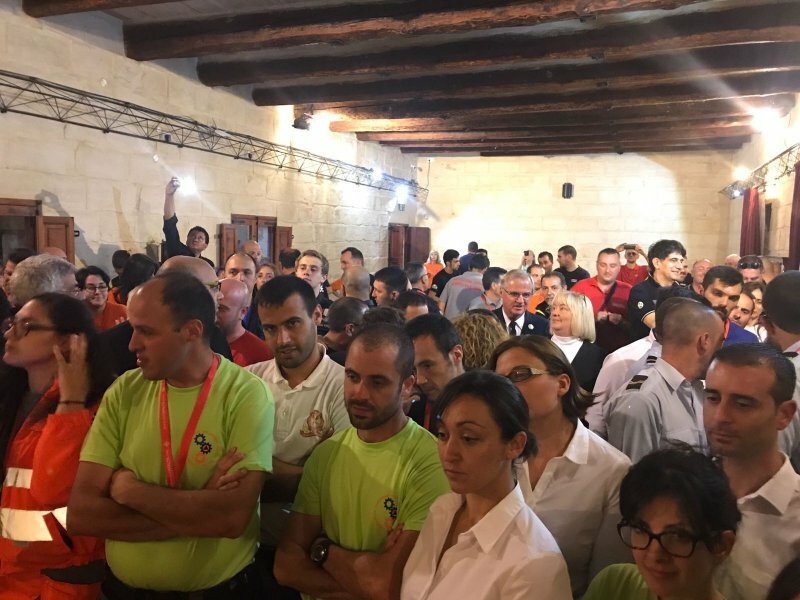 This brought together some 122 foreign volunteers from 24 different teams and coming from 18 countries, all specialising in different rescue disciplines to participate in a 6-hour rescue simulation and 1 day conference held at the beautiful Fort St Angelo. 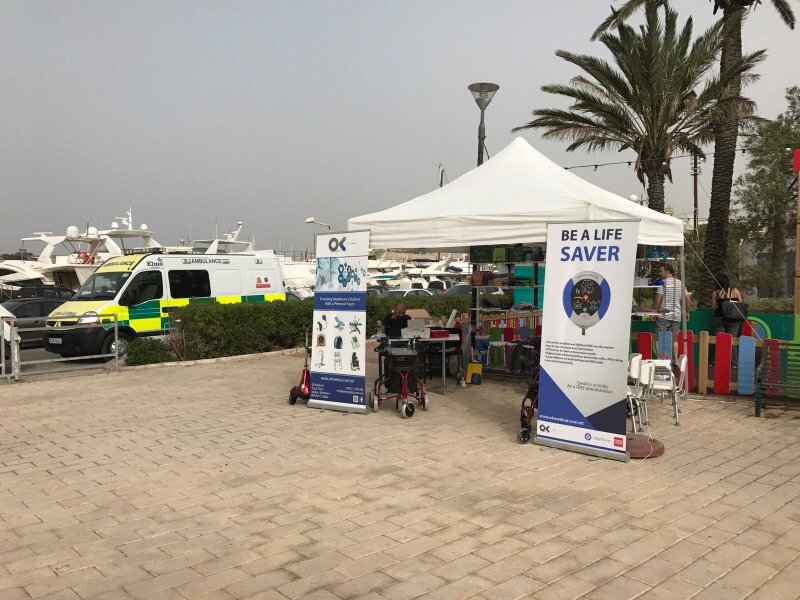 Also in May with the Assistance of funds obtained through the SIS funding programme managed by the MCVS, an open day was organised with the collaboration of the Gzira Local council. 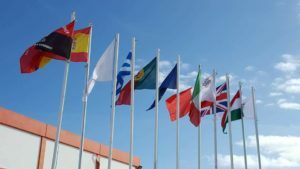 This was held at the open “Council of Europe” gardens next to the Marina. Later in the year, the EFRU’s Sicily Cycling Tour, was another remarkable success. 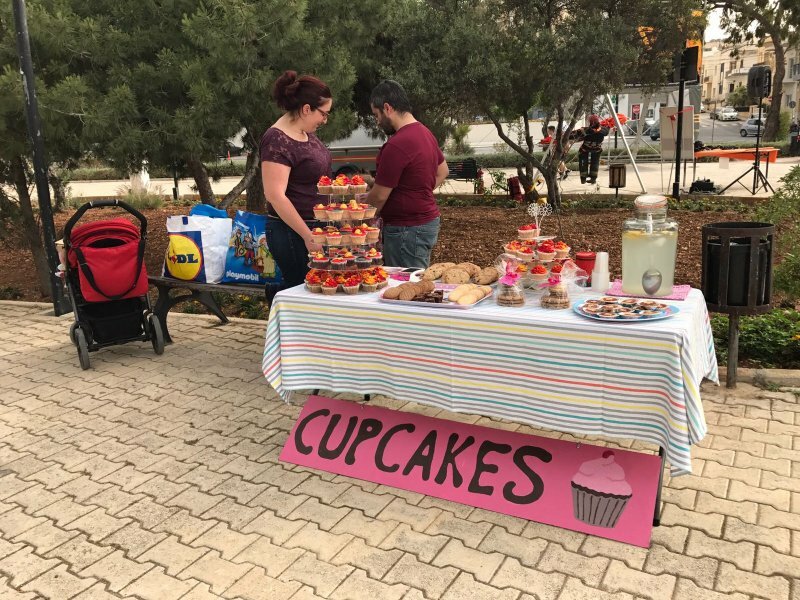 This yearly event helps the EFRU raise funds for particular projects. 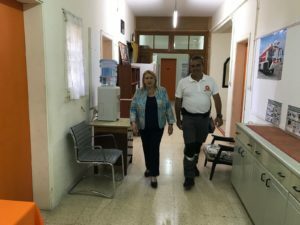 In the last three editions, for instance, funds were raised to top up yet another achievement we had made after securing a contribution from the Good Causes Fund purchase a much-needed Ambulance. 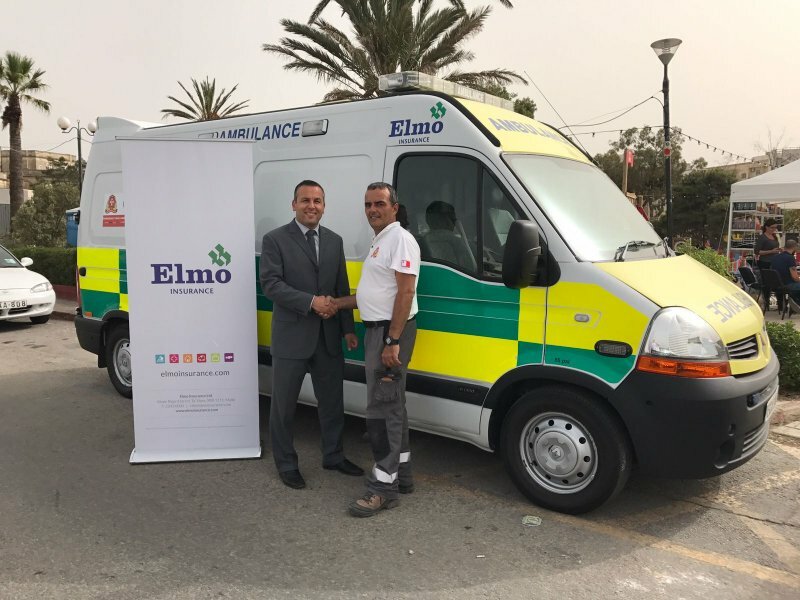 The ambulance was finally acquired in 2017 and has, ever since, been one of the key-assets of the unit. 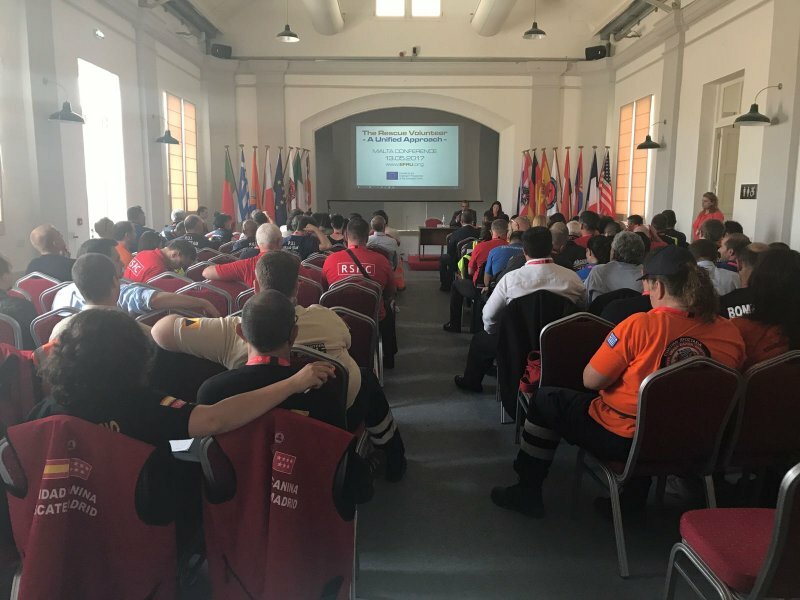 It is used in the majority of our events including those organised under the umbrella of the EFRU CAP – Community Assistance Programme. During 2017 other funds were secured through the MCCFF Istrina funds. 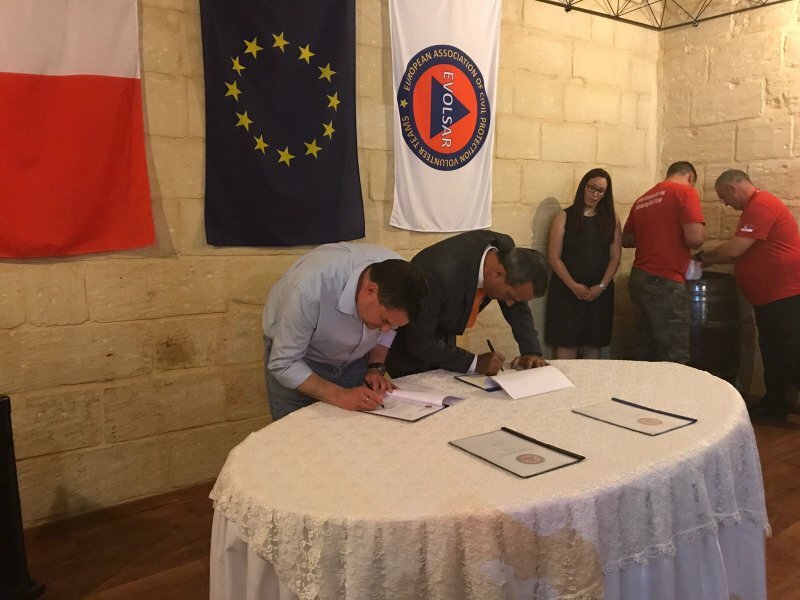 These funds greatly facilitated the EFRU’s intentions to organise two international simulations here in Malta as well as the acquisition of two rapid deployment shelters for local and international deployments. 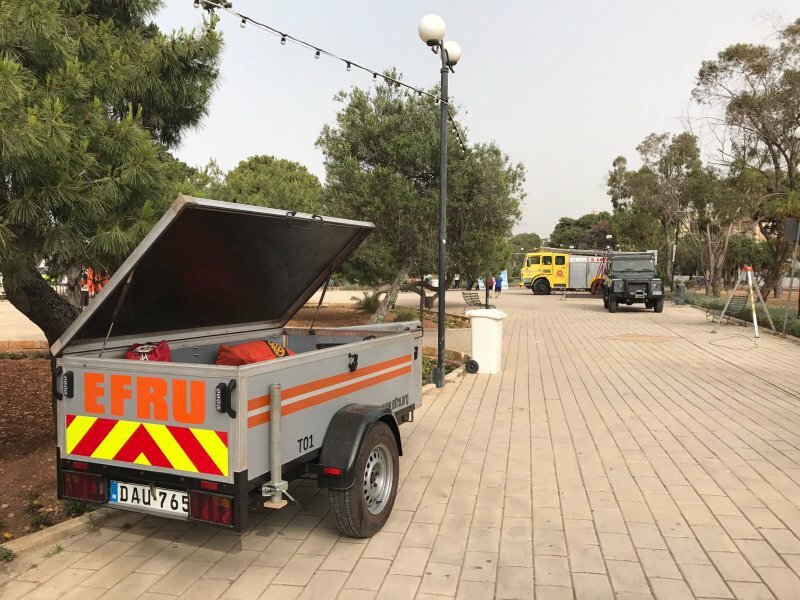 As part of the continuous development of our volunteers the EFRU tapped into yet another funding opportunity supported by the Training Initiatives’ Scheme of the MCVS. Through these funds, we organised a Train-the-Trainer course for our instructors. 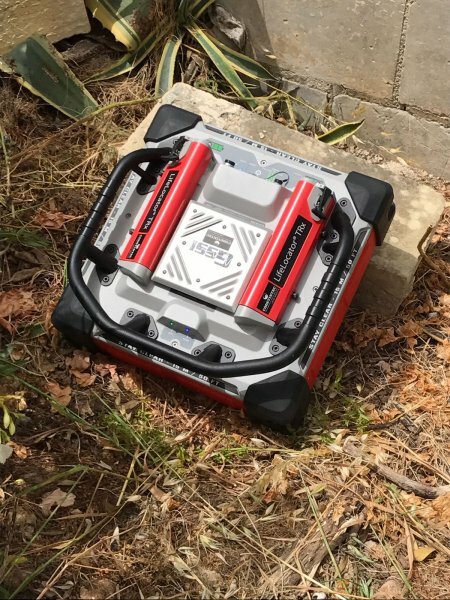 This saw a group of our senior instructors attend for a 20-hour course delivered by PsyPotential. 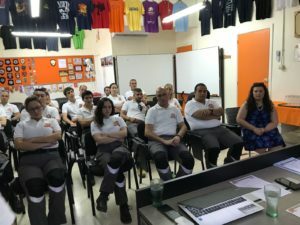 Furthermore, the EFRU initiated a series of induction training sessions on Psychological Preparedness of our rescuers, which saw its culmination later, in the beginning of 2018. Also, during the year in review, 12 volunteer rescuers were trained as Trauma First Responders. 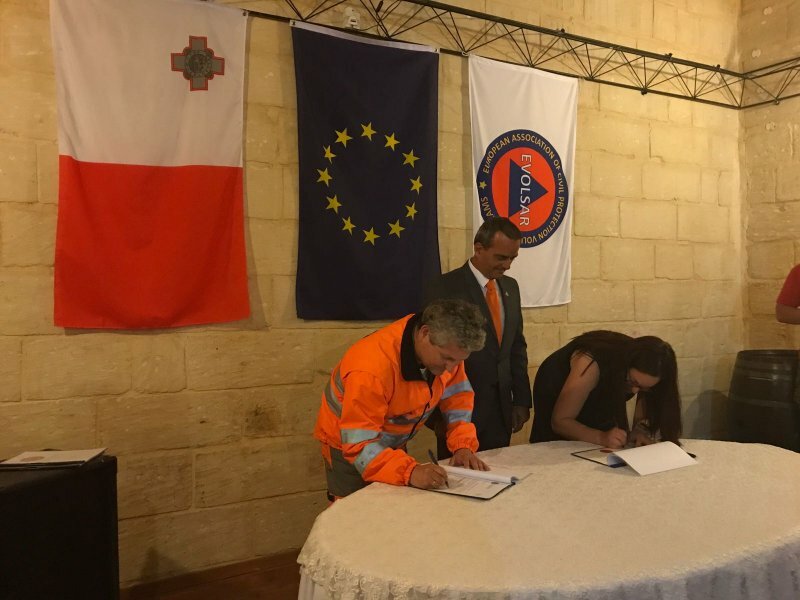 This was facilitated through the collaboration that the EFRU initiated with the ERRC in Gozo. 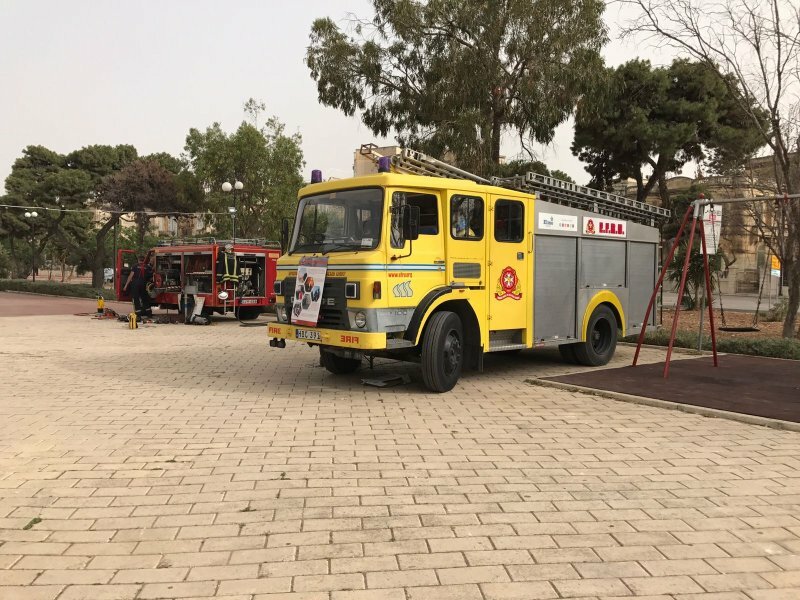 As part of the collaboration that the EFRU and the ERRC are fostering, the EFRU also secured the use of a Mercedes Atego Firetruck which was a much-needed addition to its emergency fleet. To top it all up: during 2017, the EFRU changed its modus operandi in terms of committee operations, thus creating a 3-tiered multi-faceted committee system. 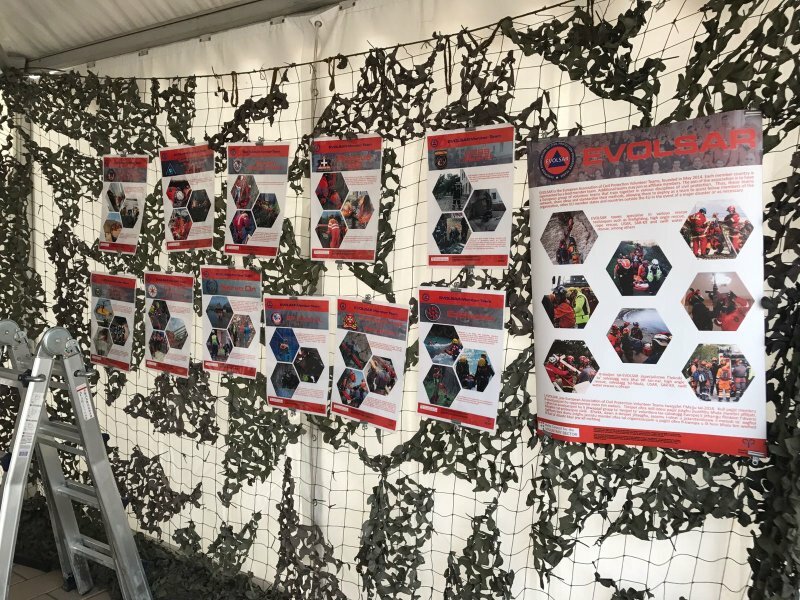 This served to empower other volunteers to come forward with their ideas and commitment as part of the day-to-day running of the Unit. 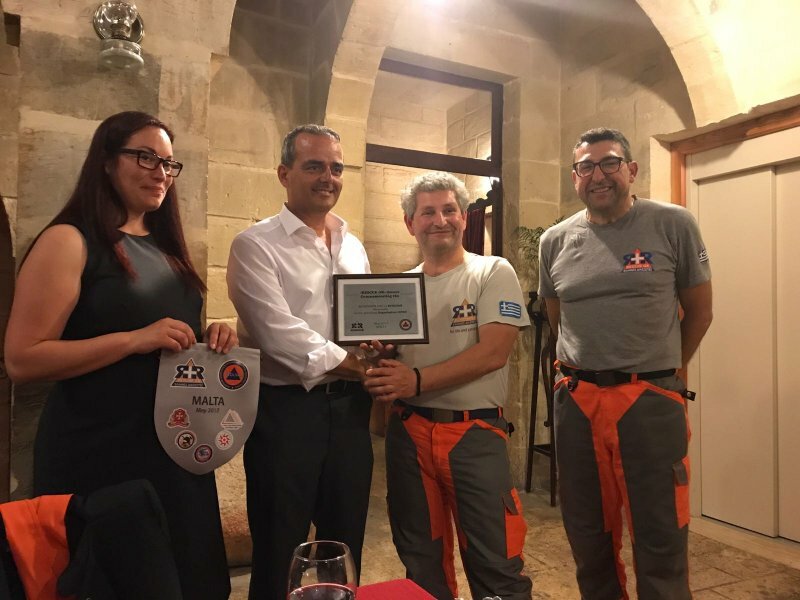 As with previous years, the EFRU also had the opportunity to take part in not one, but three, international exercises and this through our involvement in EVOLSAR – The European Association of Civil Protection Volunteer Teams. 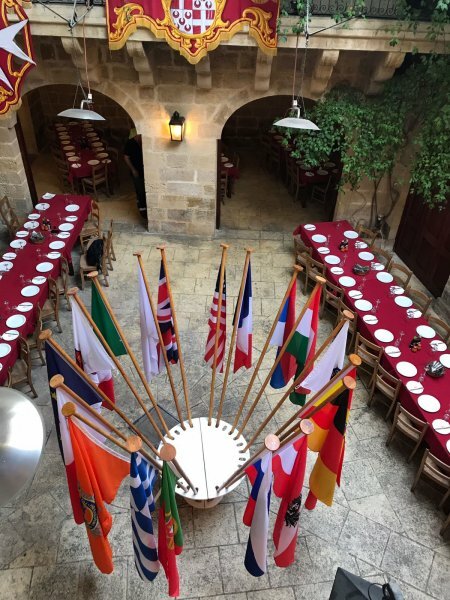 The first two events were held in the UK and Portugal, respectively, whilst the third was hosted by ourselves, here in Malta. 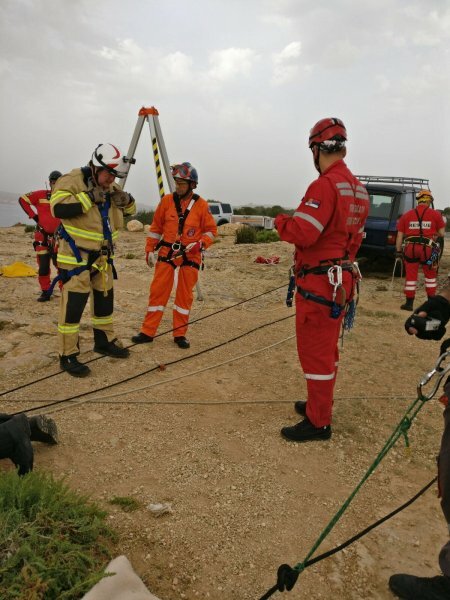 We recall sharing with our readers the news about different funds which the EFRU was trying to secure or had secured altogether in order to improve both training and equipment resources. 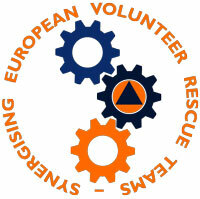 We also recall sharing the news on the birth of the EVOLSAR association which brought us closer with our volunteering brothers and sisters across European borders and beyond. These news made our headlines several months ago and now, more than a year on, we are back with updates! 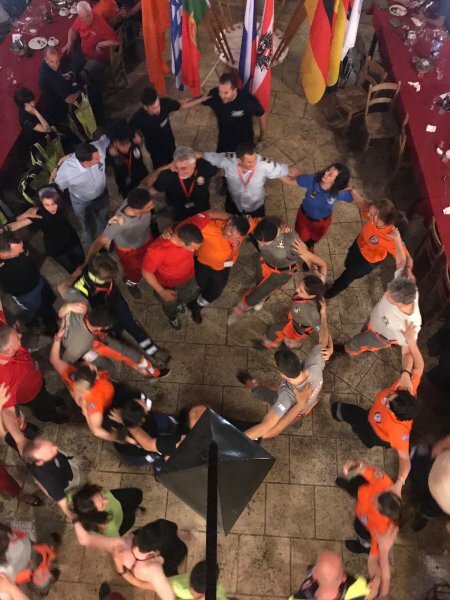 The most demanding project which the EFRU has ever embarked on is, of course, the multi-national endeavour (Synergising European Volunteer Rescue Teams, an Erasmus+ Strategic Partnerships Project) that saw teams from different countries coming together in common search-and-rescue training. 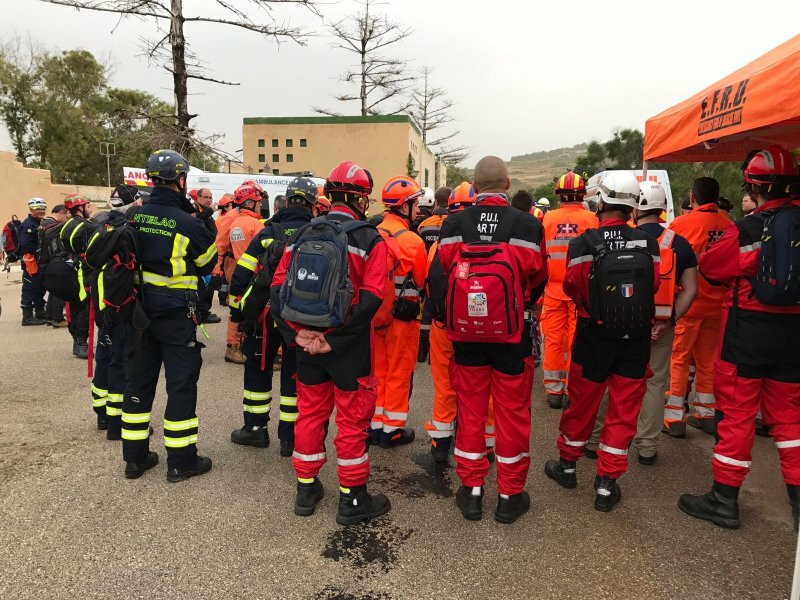 The aim was to identify and share best practices in the field of rescue as well as to synchronise methods, increase preparedness for large-scale disasters and facilitate interoperability among different European teams. 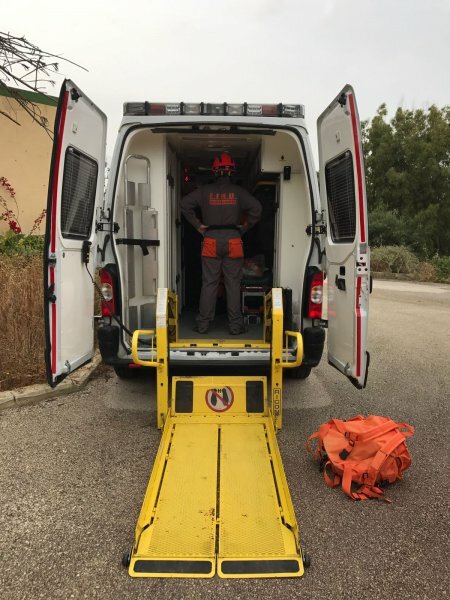 Moreover, it served as a launch-pad for the Rescue Techniques for Emergency Response – An Introductory Manual for European Volunteer Rescuers. 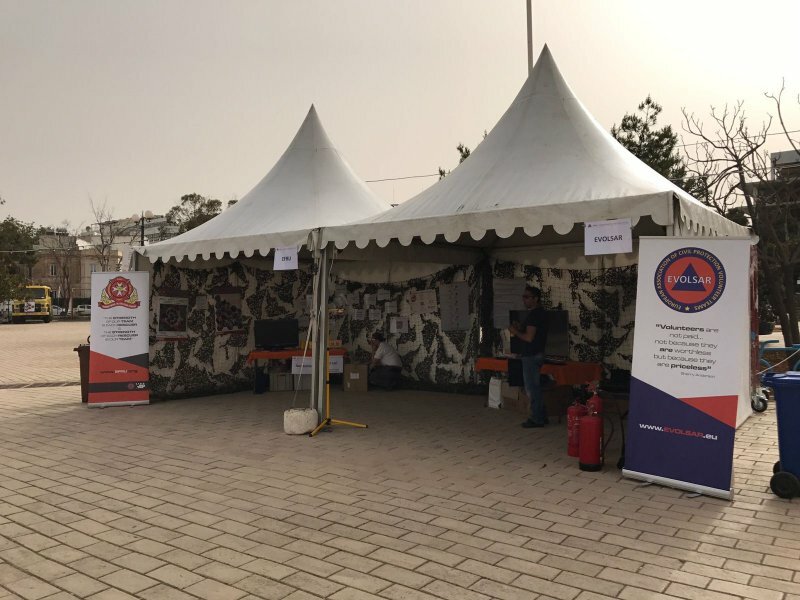 This manual is the first of its kind and was published with the intention of providing a set of rescue-related guidelines to the volunteers of EVOLSAR, which by now has evolved into a network of no less than 12 teams from 9 different countries. 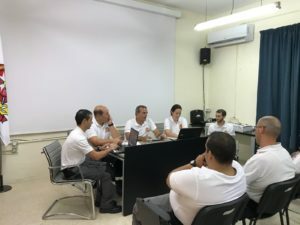 Five transnational meetings propelled the project forward between 2015 and 2017 in Portugal, Malta, Italy, the United Kingdom and Greece. 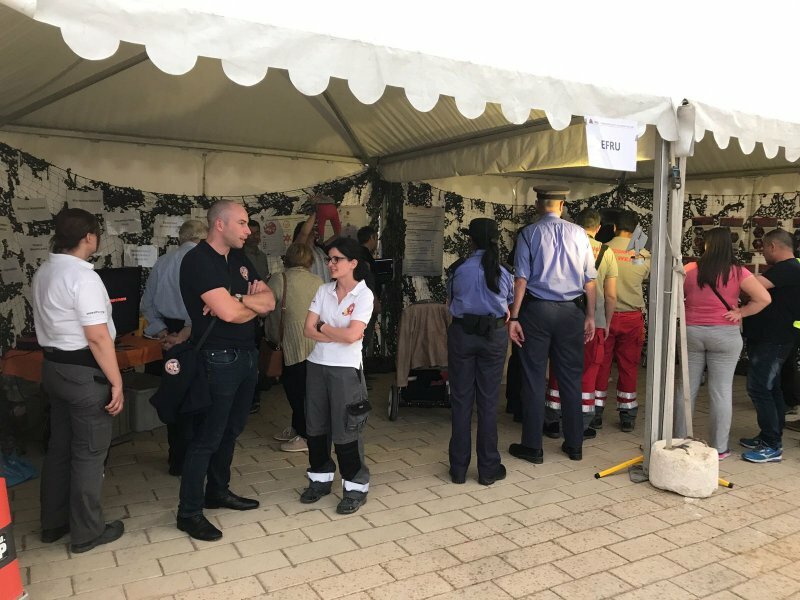 Intermittently, practice sessions were held such as a five-day emergency simulation and, later into the project, a training exercise which set the scene for final events of May 2017. 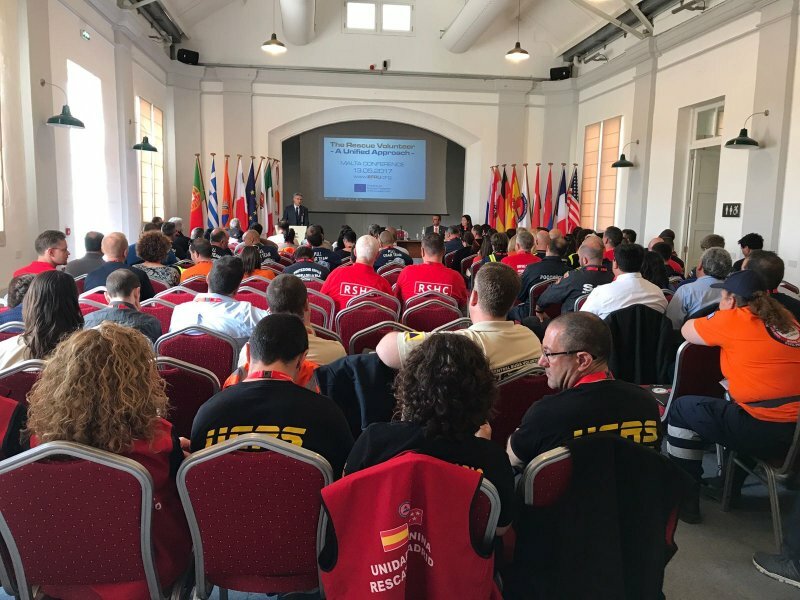 Twenty-four teamsThe following day, activities culminated with the first international conference for Volunteer Rescue Teams, which brought this successful two-year project to a rewarding end. 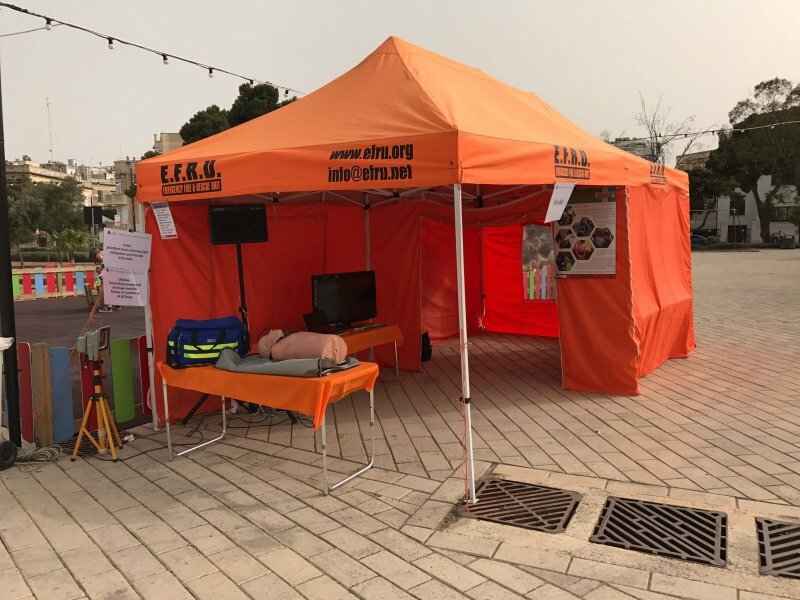 It is worth mentioning that during these final activities, the EFRU also collaborated with the Gzira Local Council on a separate, but related, event largely intended for the public’s engagement. 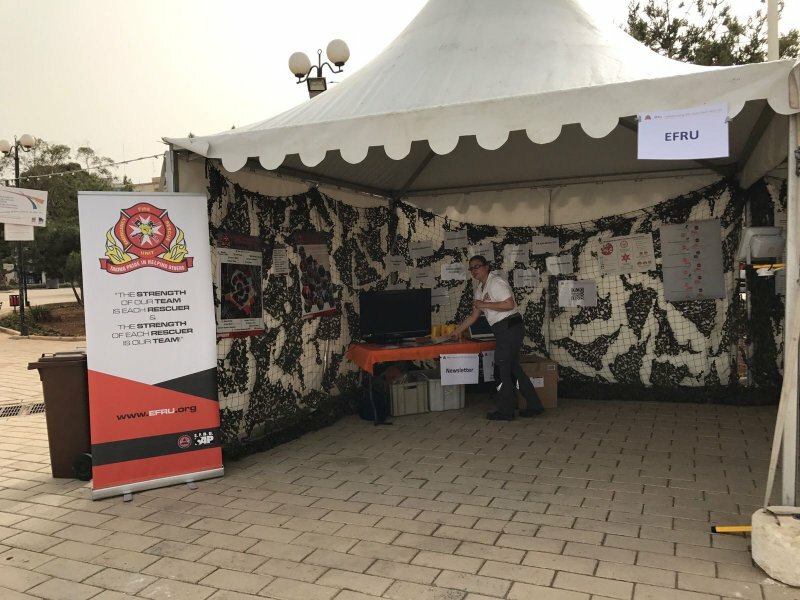 For one afternoon, Ġnien il-Kunsill tal-Ewropa of Gzira was transformed into a large display area which featured information pods, first-aid and fire-fighting demonstrations and interactive sessions, all designed to inform the public about EFRU, EVOLSAR and the field of rescue. 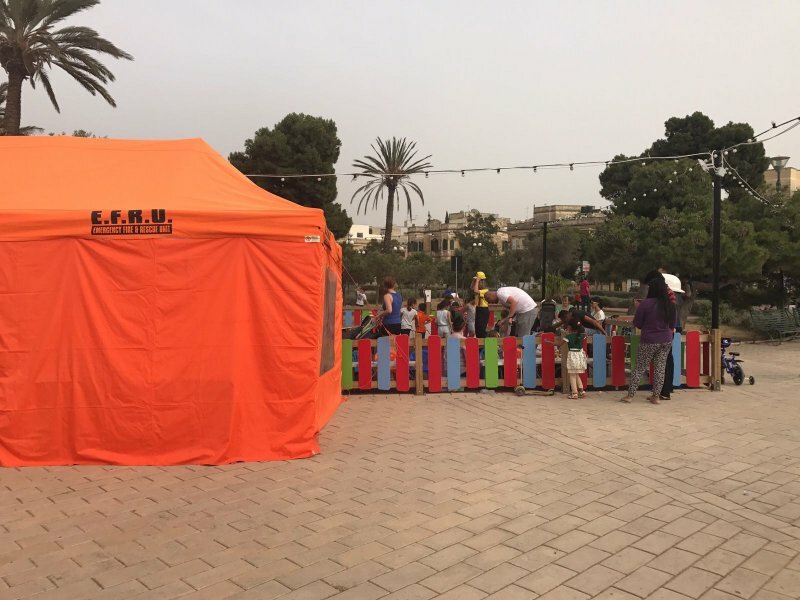 This was only made possible thanks to the funding obtained from the Small Initiatives Support Scheme as managed by the Malta Council for the Volunteer Sector, the support of the Gzira Local council, the CPD and Playmobil Malta which supported the children’s educational area. 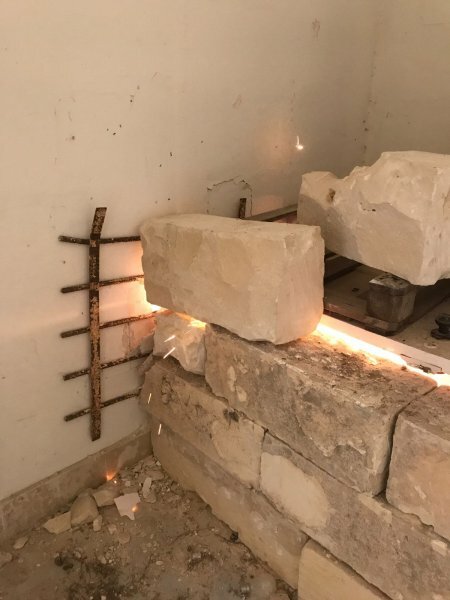 One needs not really be directly involved in all of this in order to be able to conclude that all of the work mentioned above left the members of the Unit entirely taken-up with a tonne of tasks. 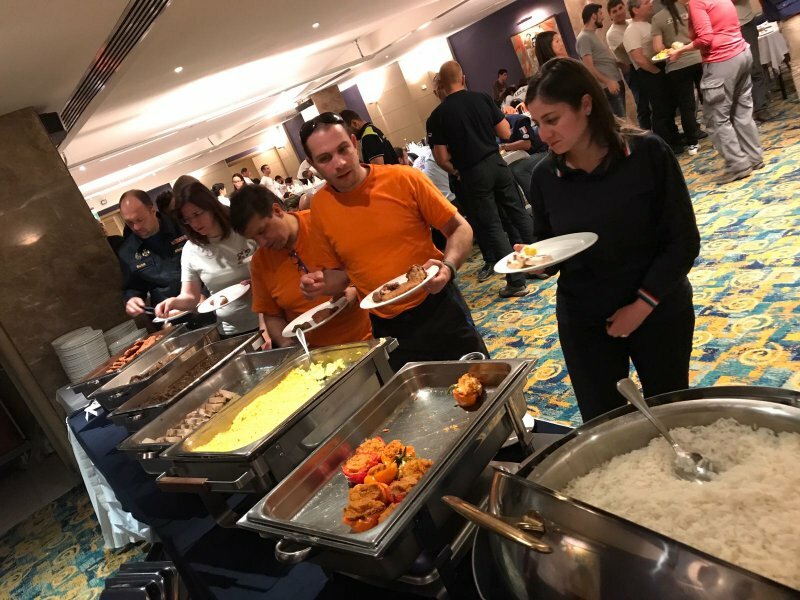 The organisation alone was a challenge the EFRU had never faced before, not to mention the tasks of seeing each part of these events through to the end successfully and making sure that our more than 120 foreign guests were well cared for. As it always does, however, the teamwork of our dedicated volunteers worked miracles and we all look back to those few days with amazement and pride. Three months later, our pride was yet again refuelled with a visit by the Hon. 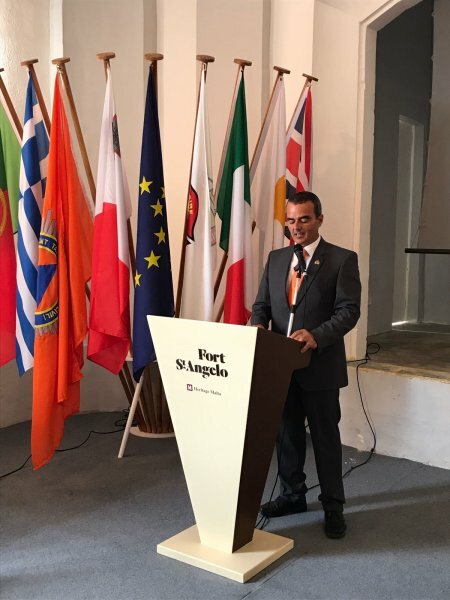 Minister for Home Affairs and National Security, Dr Michael Farrugia, to the EFRU headquarters in Shipwright Wharf, Marsa. 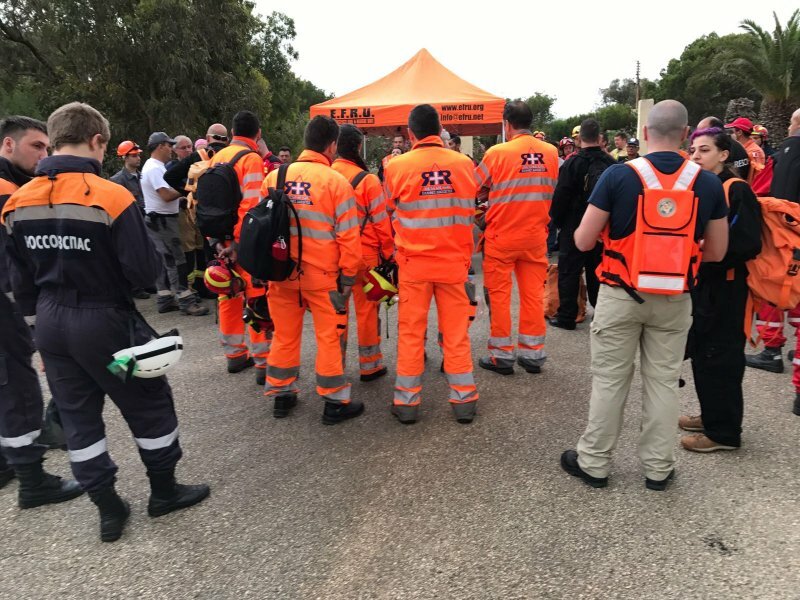 Dr Farrugia watched as a typical training session unfolded before him and bore witness to the Unit’s training and preparedness in assisting the Civil Protection when in need. He was also presented with a copy of the manual which had been launched in May. 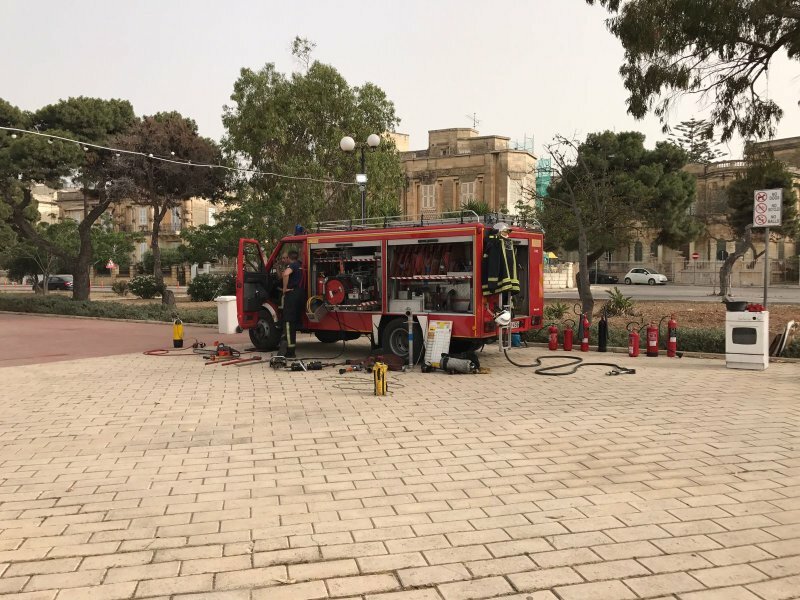 Dr Farrugia also listened to some of the concerns that the Unit is currently facing, particularly those concerning an adequate premises to house both our training needs and much-valued equipment. Dear readers, it has indeed been a while since we last updated you with what’s cooking at the EFRU. It has been a busy summer and although we lay low for a few months, much has been happening behind the scenes. 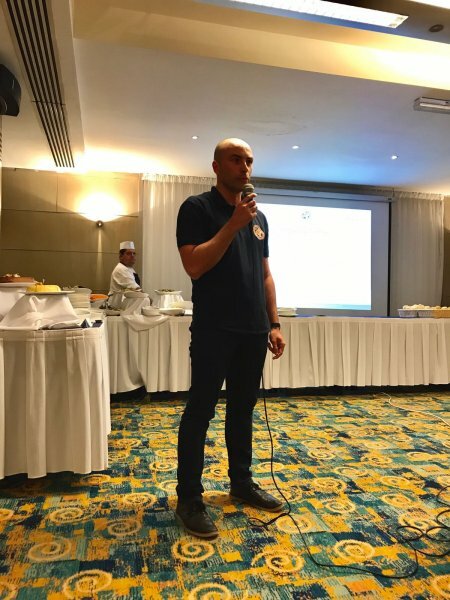 As you shall see in one of the write-ups in this newsletter, much of our time at the beginning of summer had been taken up by the international EVOLSAR conference and its aftermath. 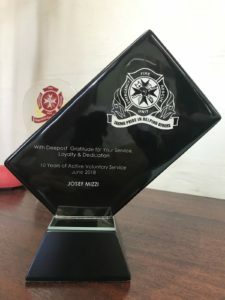 Yet, we still honoured our standing commitment to the local community by providing first-aid and fire-fighting cover during several public and private events. 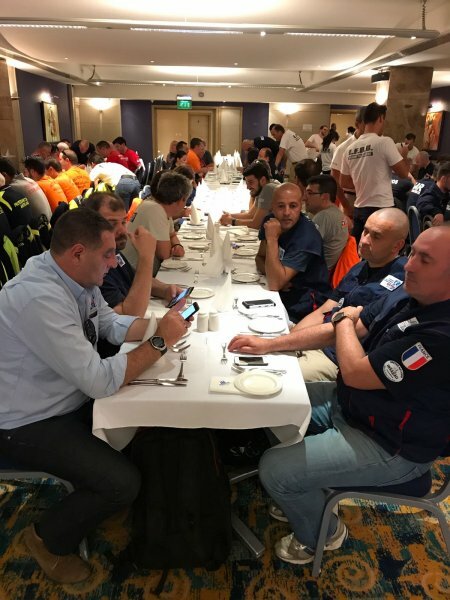 Last but not least, we came to terms with some of our housekeeping needs where maintenance, training and meetings concerning our premises were the order of the day. 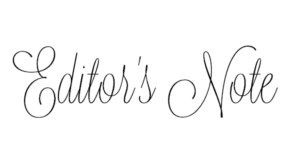 In any case, we are back to newsletter business with a mission to get you back on track with what’s a-happening chez-nous through our little contributions from time to time. 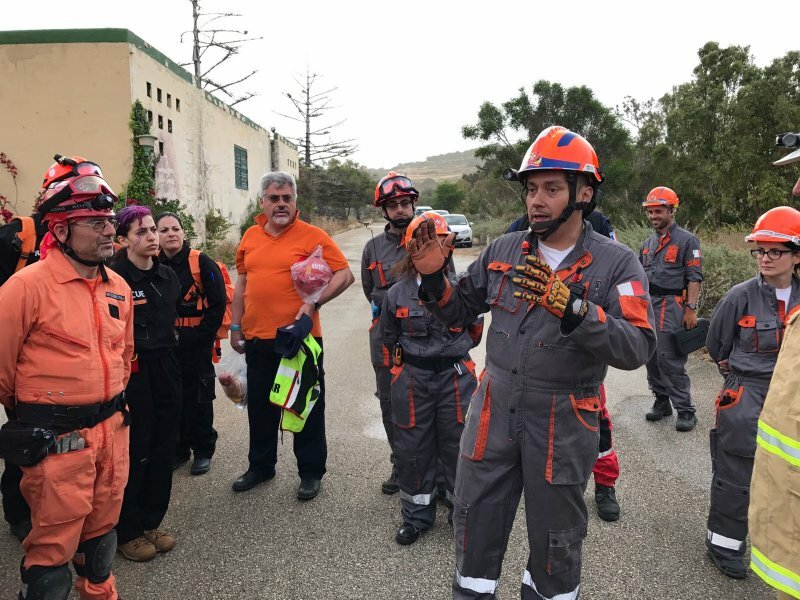 The year started with some work with “all hands on deck” for all the volunteers as the EFRU hosted a five-day training programme for some 42 rescue volunteers coming from various volunteer rescue teams from various European countries which included the UK, Portugal, Italy, Greece, Cyprus and Hungary. 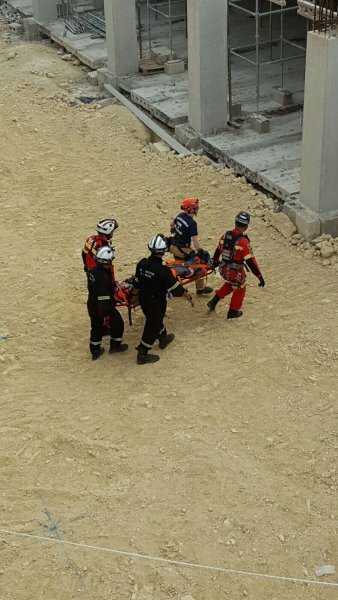 The event, held in February 2016, saw these volunteers handle various rescue simulations in the Maltese Islands where the EFRU simulated various rescue scenarios including urban search and rescue (USAR), Rope Rescue, Cliff Rescue and a mine collapse. 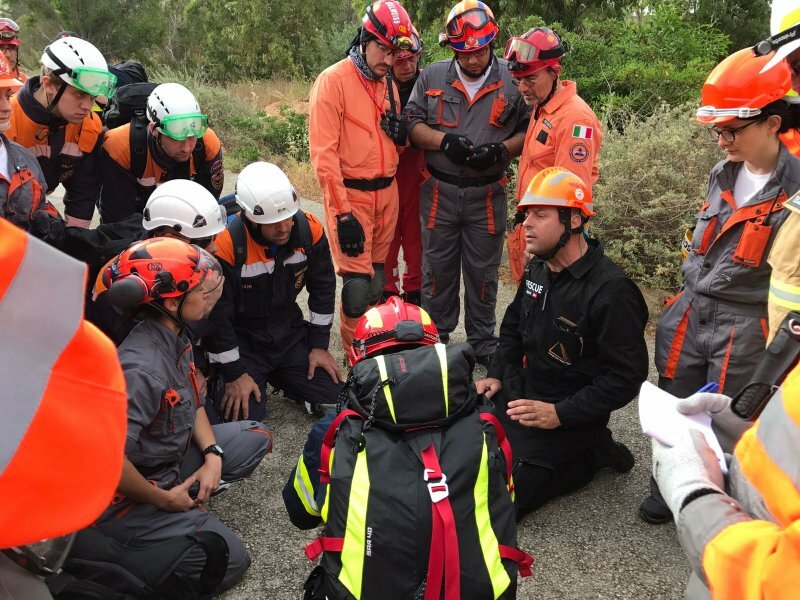 In May, the EFRU sent a team to Italy for the RESCUE 2016 simulation. 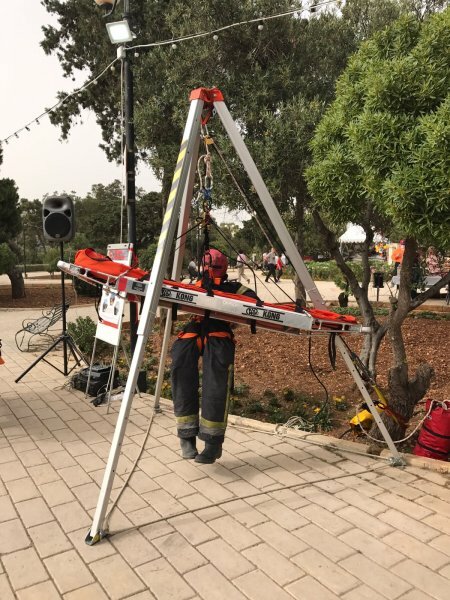 The EFRU was again pivotal in the various rescue simulations involving train accidents and rescue from a “Spaceframe” structure. 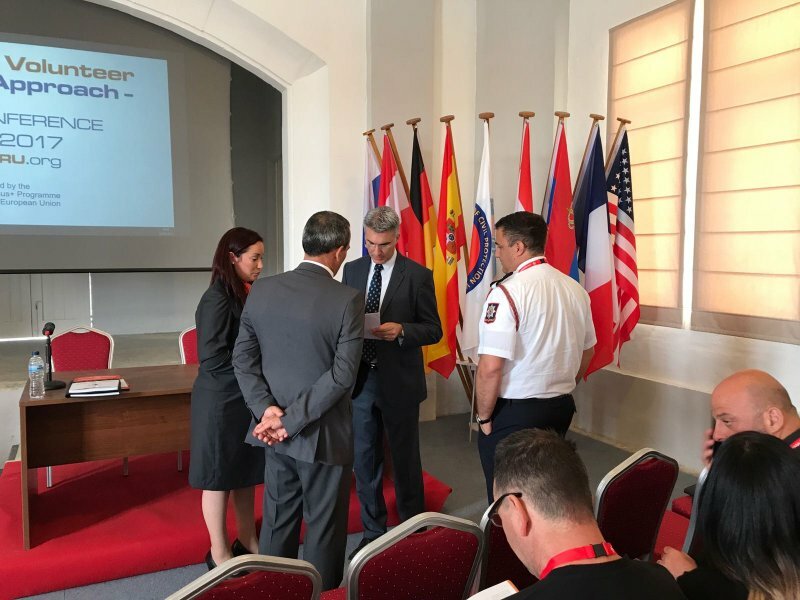 During this event, the Hungarian team Central Buda Civil Protection Association (OPVE) was officially accepted as the lead team for Hungary in EVOLSAR, the European Association of Civil Protection Volunteer Teams. 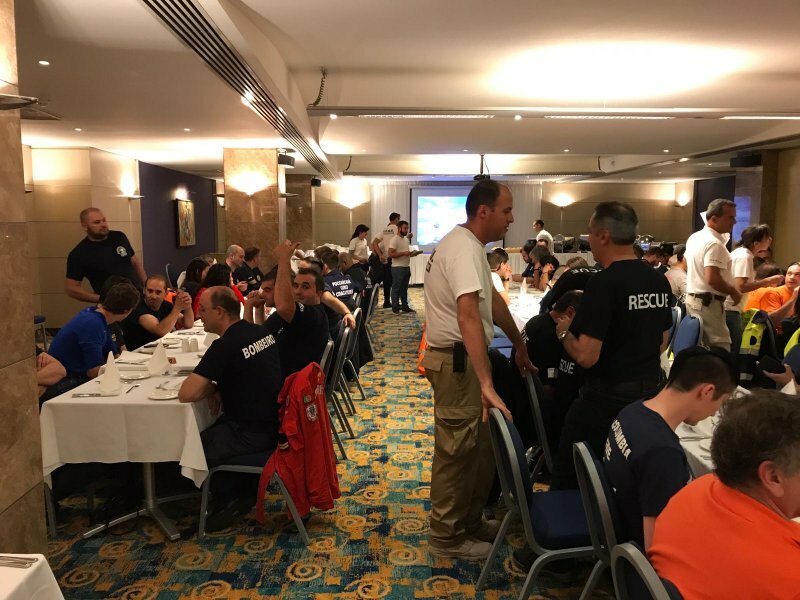 In June, I had the privilege to present EVOLSAR to a Greek emergency services audience, during ENCELADUS 2016, a conference held in Athens. 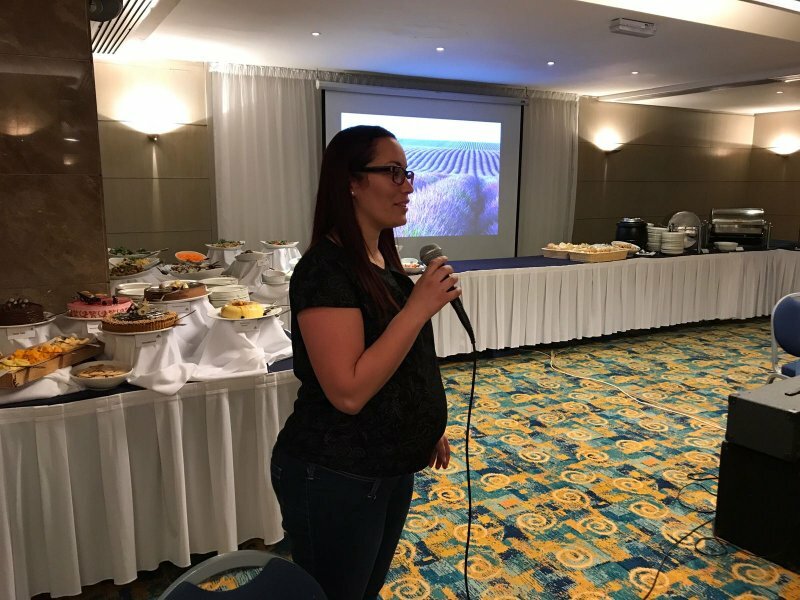 During this event potential future members of EVOLSAR had the opportunity to discuss the benefits of joining our European association. 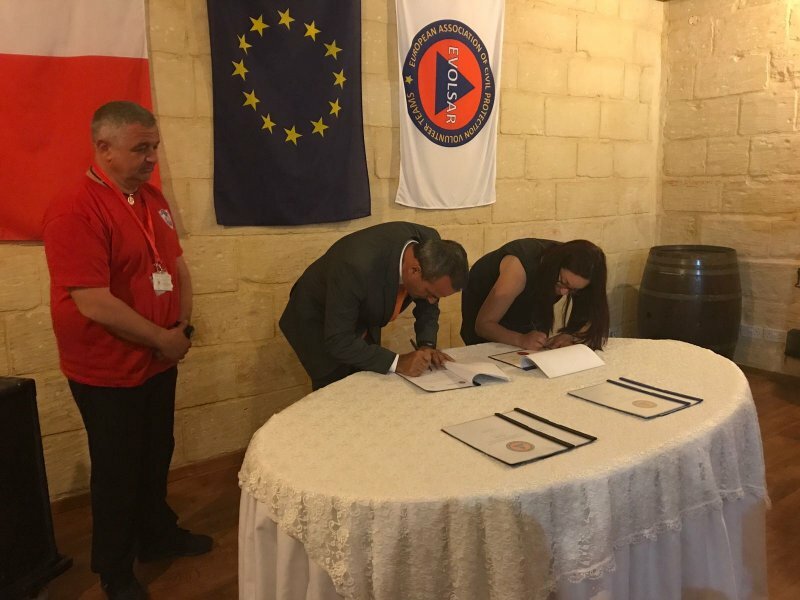 Other teams coming from outside the EU also showed their interest and a Russian team met during this activity will be visiting Malta soon for an exchange training. 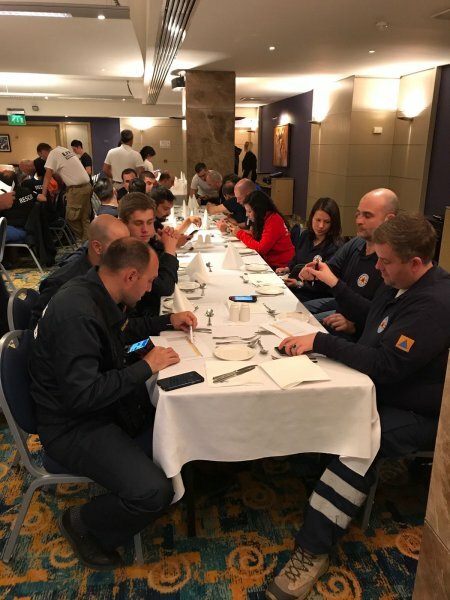 This outcome resulted after a networking meeting organised specifically in Italy in September where a tripartite discussion of cooperation was initiated among Edelweiss, the Russian team and EFRU. 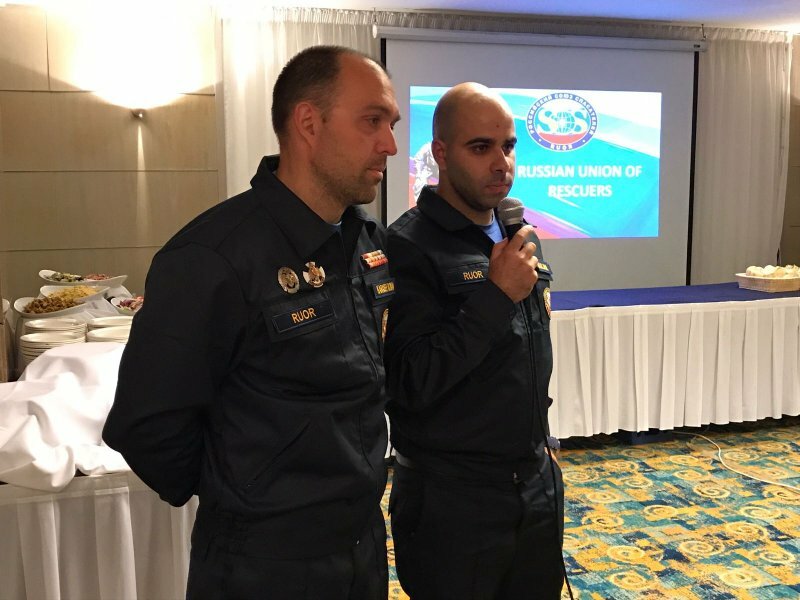 June was also celebration time for EFRU as it marked the 10th year of operation for the Unit. With August, came the Italian earthquakes. 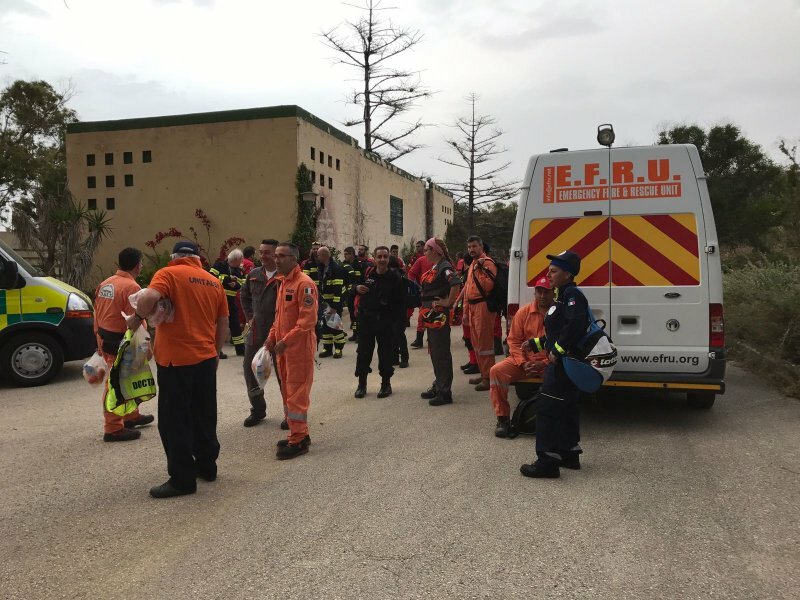 The EFRU, through its EVOLSAR member team in Italy, was on the alert within the first hour after the alert. 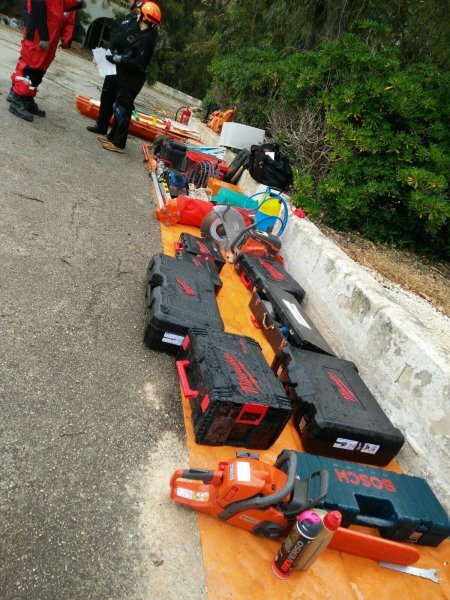 The team had everything ready and planned for a team of eight rescuers, with equipment, to travel by sea on the same evening of the catastrophic event. 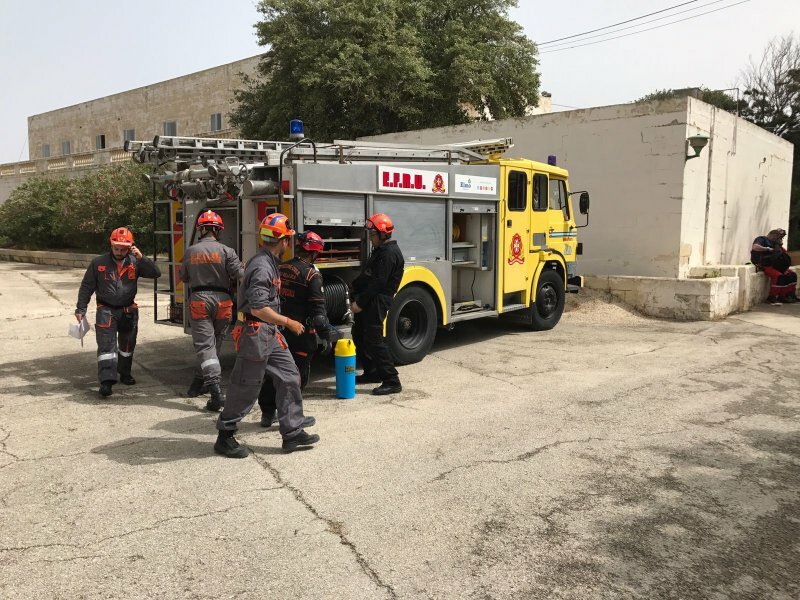 However, it was made clear that the response to the emergency was already being handled by local entities and that no foreign assistance was needed. 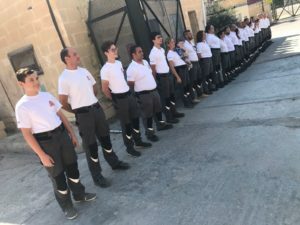 In fact, many Italian volunteer teams had to be sent back or were asked to stand by in the vicinity so as not to clog the roads unnecessarily and allow operations to proceed. 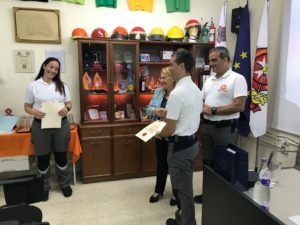 For this reason, and since we are all volunteers, we have to carry out our due diligence even when responding to such events as it would have been a waste of funds and resources if the team had gone up to Italy and would have been unable to assist in actual SAR. 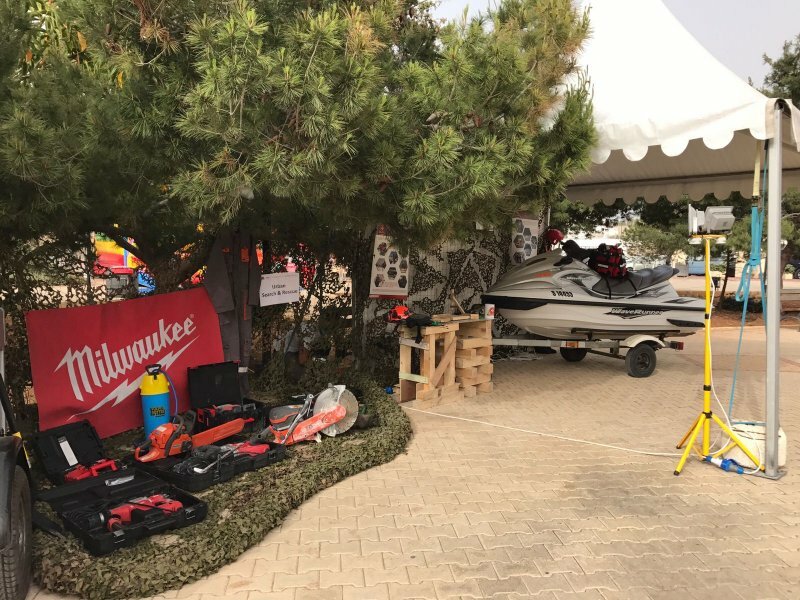 In November, the EFRU was again part of the annual Portuguese SAR DAY event. 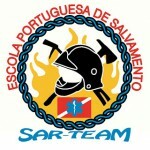 In this simulation, the EFRU team was entrusted by the Portuguese with the running of the OSOCC throughout the event. This, whilst also having rescue volunteers taking part in the simulations as well. 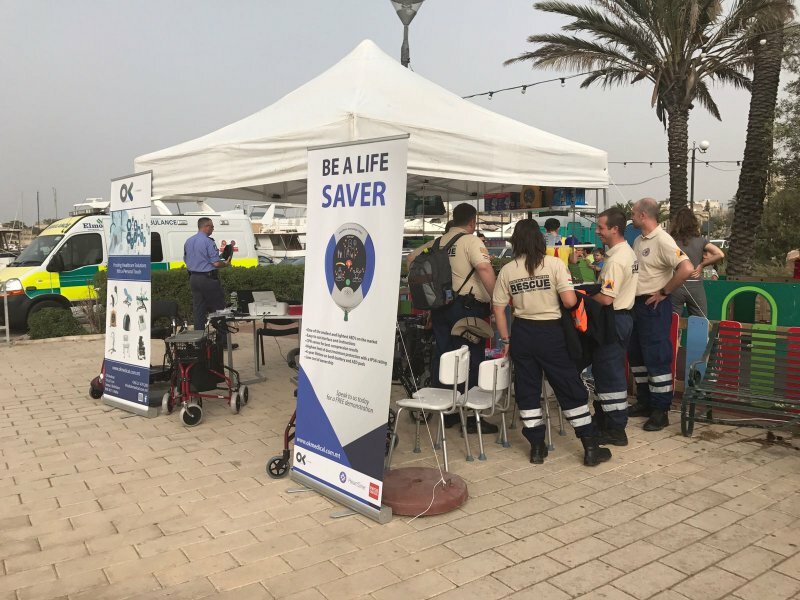 During this event, another two teams, the Bombeiros Voluntarios de Peniche (BvP) of Portugal and the Unidad Canina Rescate y Salvamento (UCRS Madrid) of Spain became part of EVOLSAR. 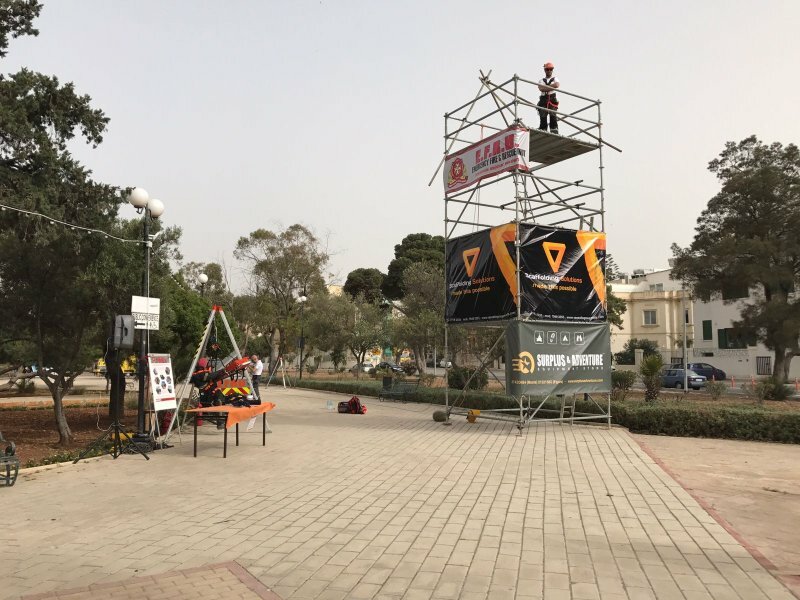 The BvP is the second team from Portugal within EVOLSAR and therefore, it joined as an affiliate team, while UCRS Madrid is the first Spanish team and thus, it joined as a lead team for Spain. This year is foreseen to be another challenging one. 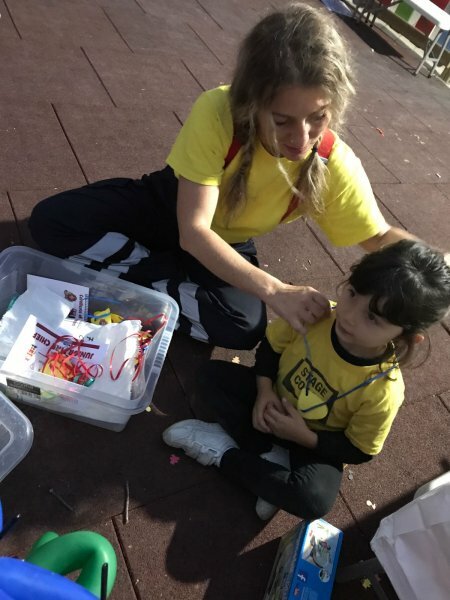 Already, various new experiences have been reaped by our volunteers …..truly our motto may well be – Never a Dull Moment! 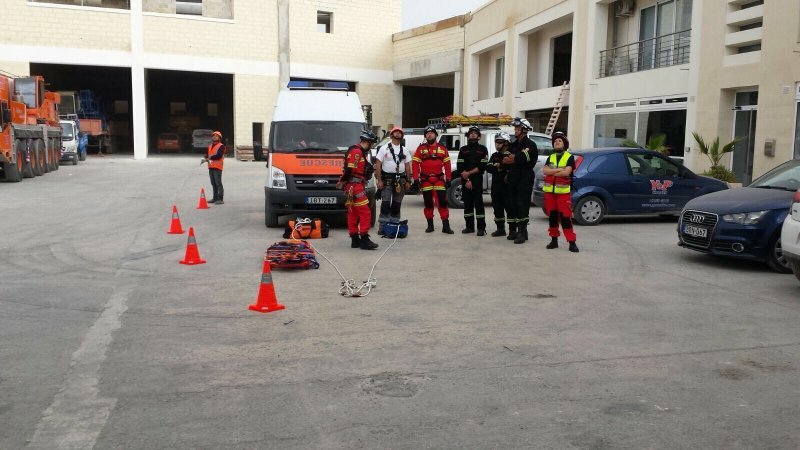 The Emergency Fire & Rescue Unit (EFRU) of Malta is hosting a two-day activity which will see over 120 rescue volunteers from all over Europe, the United States, Serbia and Russia, training together with one aim – that of saving lives. 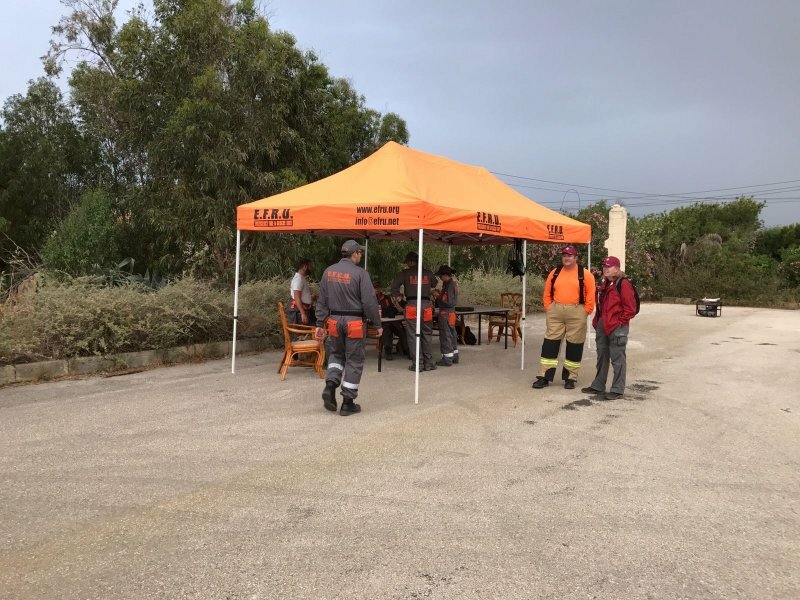 This is a project funded by Erasmus+ KA2 Strategic Partnerships funding strand and is led by the EFRU, a 40-strong rescue team that was set up locally but is managing to unite rescue volunteers from around Europe and beyond. 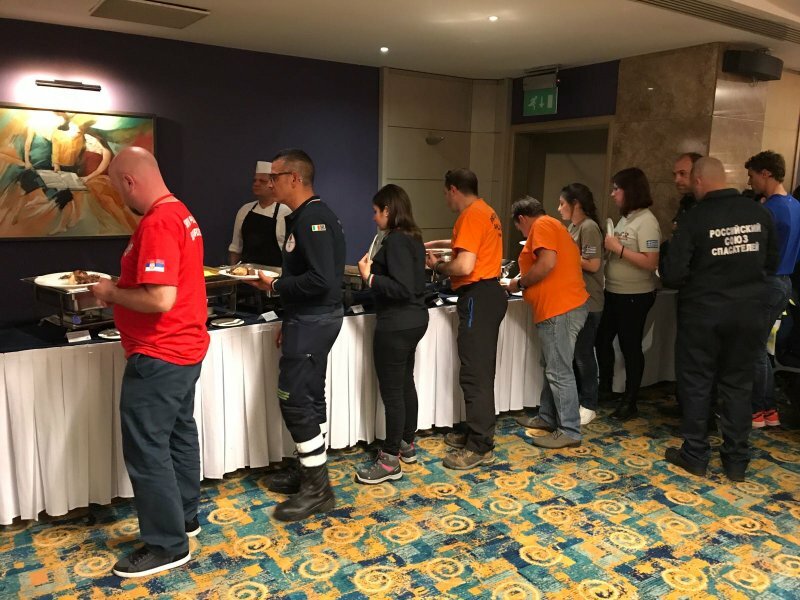 Participating teams include Edelweiss (Italy), EPS (Portugal), ETSM (aka EP.OM.E.A., Greece), CCPVC (Cyprus) and Serve On (UK), as well as other volunteer rescue teams from Hungary, Spain, Greece, Italy, Portugal, France, Serbia, Russia, Austria and Germany which aim to join this network in the near future. 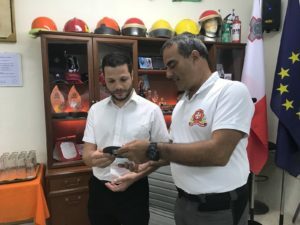 The project has been going on for the past two years with its intellectual output being a Volunteer’s Rescue Manual as a basic standard for the principal rescue techniques for volunteers in the field of civil protection to attain interoperability among the teams. 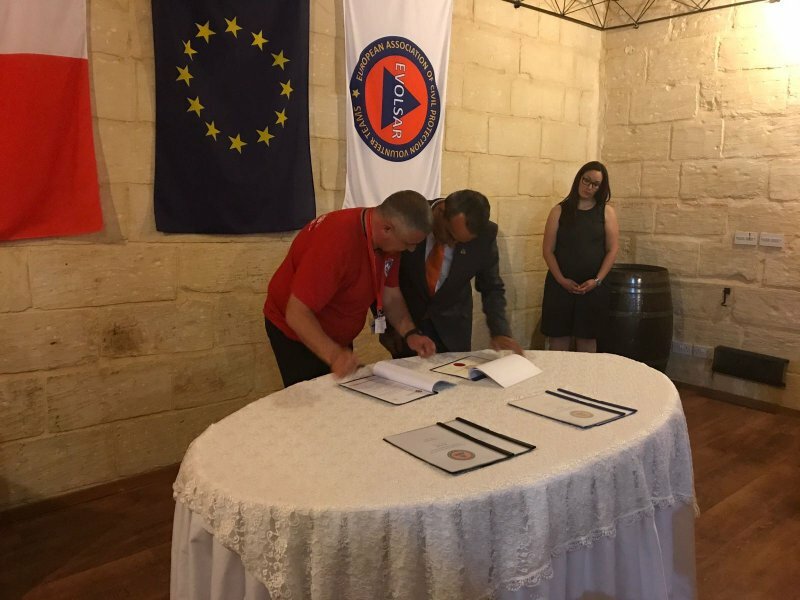 Later on in the afternoon, the EFRU will be organizing another event at Ġnien il-Kunsill tal- Ewropa, Gżira where the team will be joined by all its foreign counterparts forming part of this incredible association. 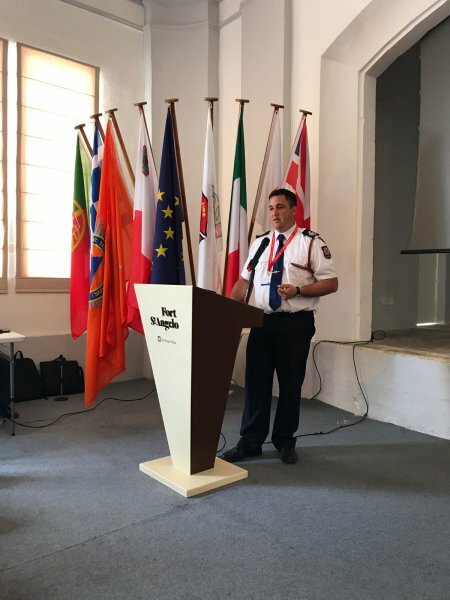 The aim of this evening event is to celebrate the volunteer and to show members of the public, together with other VIPs that have been invited, the purpose behind the work that the EFRU is doing. Some of the invitees are H.E. 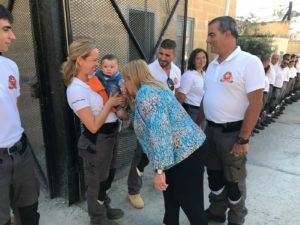 The President of Malta, Hon. Prime Minister of Malta Dr Joseph Muscat, Hon. 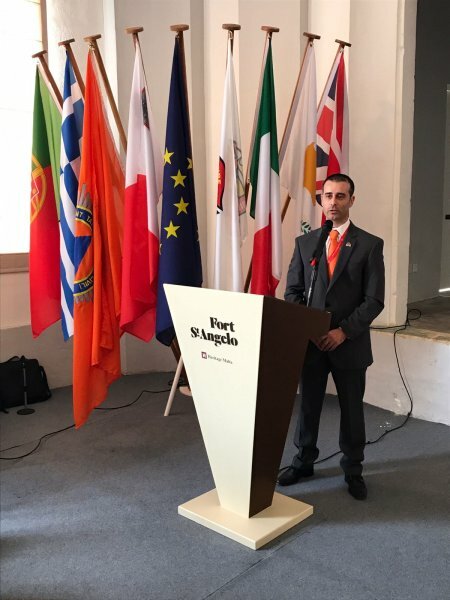 Minister Evarist Bartolo, Hon. 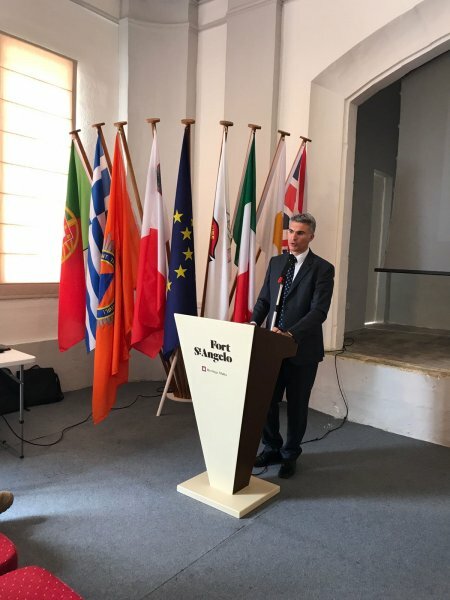 Minister Carmelo Abela, Dr. Simon Busuttil and Dr. Beppe Fenech Adami. 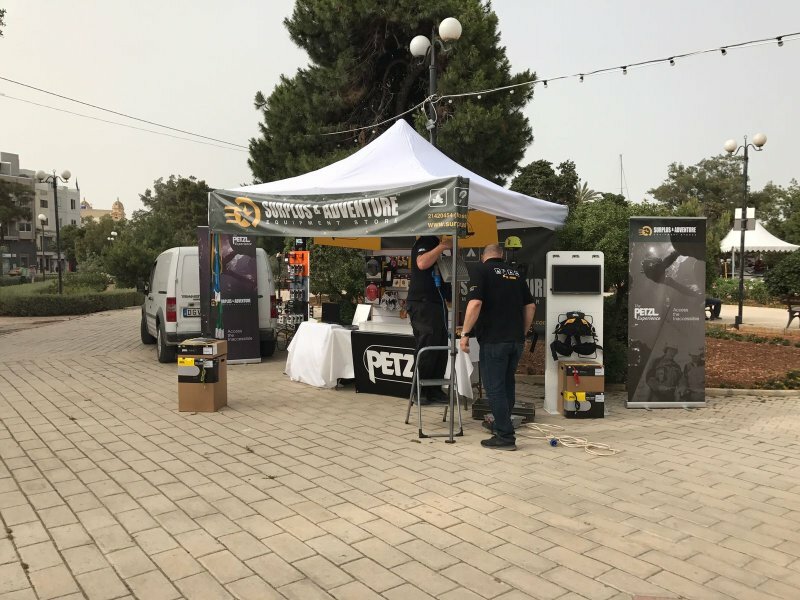 This afternoon / evening event is funded by the Small Initiatives Support Scheme as managed by the Malta Council for the Volunteer Sector and is supported by the Gżira Local Council, Vibe FM, Elmo Insurance, Firetech Ltd, OK Medical and Petzl Malta. 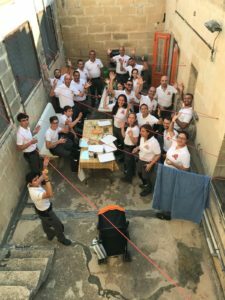 On Saturday 13th May, then, the rescue manual which has been developed by this network of volunteers led by the EFRU will be officially launched during a full day conference, entitled The Volunteer Rescuer – A Unified Approach, at Fort St. Angelo in Birgu. 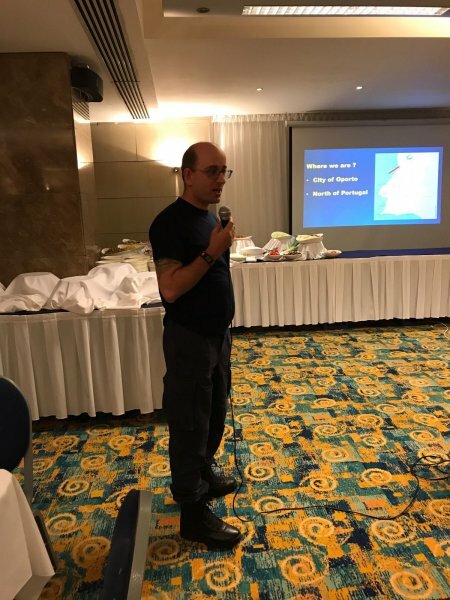 Apart from the rescue manual, a number of keynote speeches shall cover various subjects of interest, including the role of the volunteer in the aftermath of terrorist attacks, psychological aspects in rescue volunteering, team work, interoperability, harmonization and standardization of techniques. 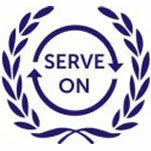 The human resource of any organisation is one to nurture and sustain. Unlike that of any other organisation, however, the human resource of volunteering NGOs is all that little bit more valuable. 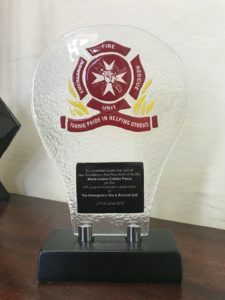 At EFRU, our volunteers do what they do entirely out of will and selfless commitment. But the commitment that our organisation makes to the people who might be in need of its service is a serious one on many levels. 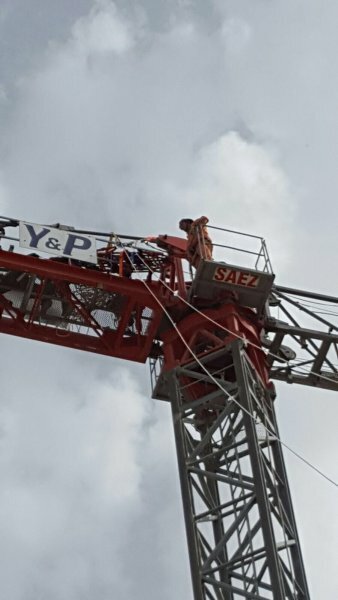 This means that the organisation must not only ensure that its members are present when and where requested, but also that they are well trained to do what they are tasked to do and deliver professionally. Our men and women need training and support, if they expect to one day go out and save the day… or more importantly, someone’s life. 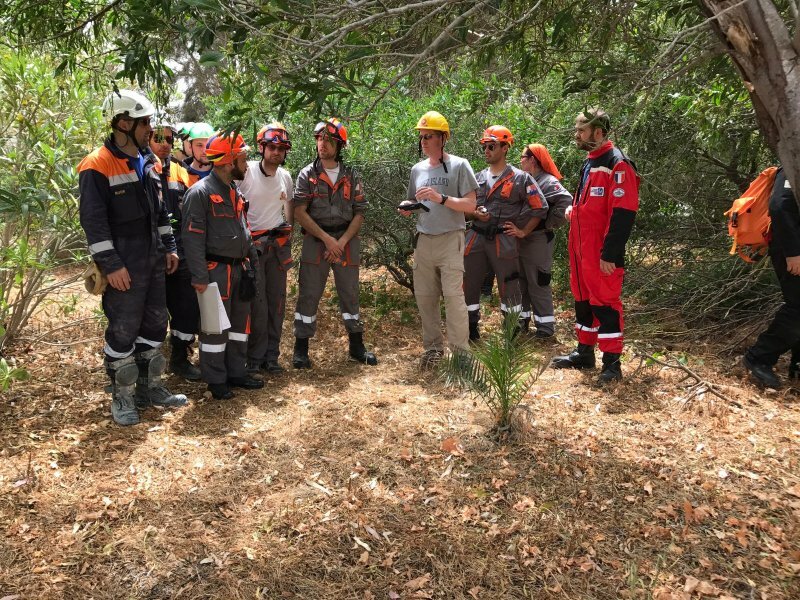 Rescuers, first aiders, fire fighters: whatever the discipline, all our volunteers are trained by the Unit’s instructors on a weekly basis. 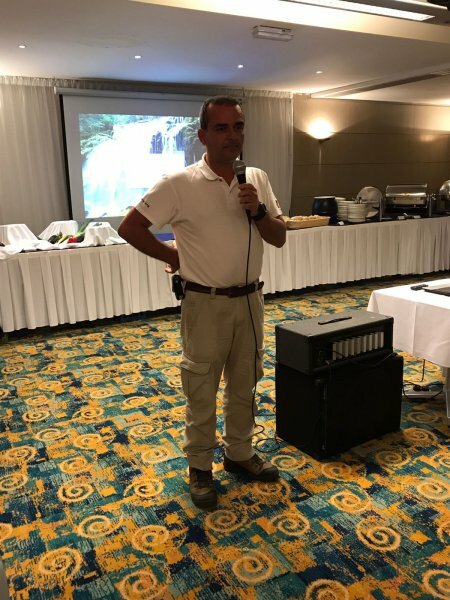 Yet even our instructors need to get their own training shoes on, so as to have their skills polished up and their methods refreshed, periodically. 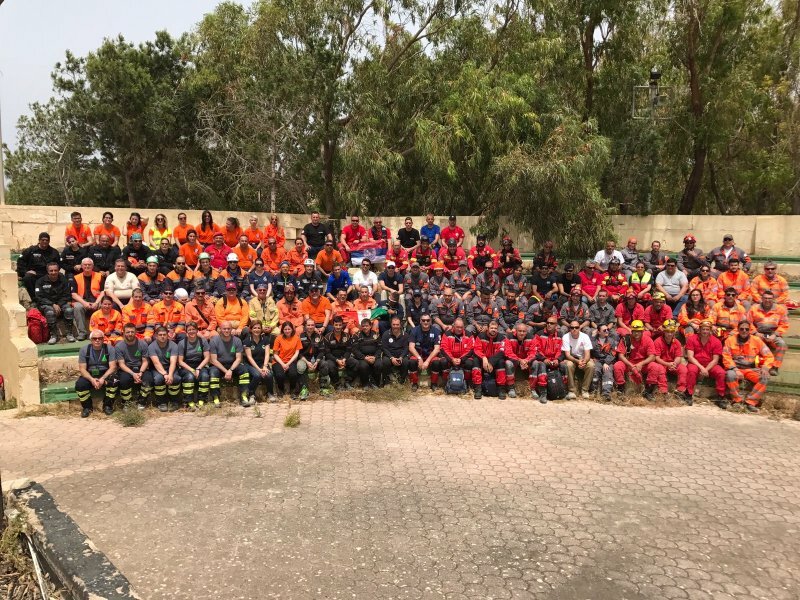 This was precisely the aim behind the latest Train-the-Trainer course which was delivered to 12 EFRU instructors coming from different areas of specialisation. This training initiative – ‘Designing and Delivering Effective Training Programmes’, as it was officially called – was intended to provide these twelve members with professional guidance towards delivering lectures and training sessions, especially with respect to hands-on instruction and practical teaching material. It was aimed at improving the instructors’ communication skills and introduce them to the theories governing the teaching/learning process so that our instructors could be better equipped to adapt their teaching methods to the different audiences they might have. 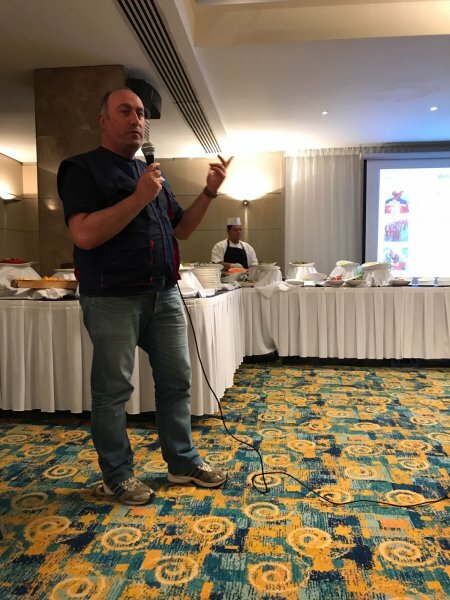 The course, which was delivered in its entirety by Mr Patrick Psaila had our instructors not only learn all about the said theories and audiences, but also had them delivering a practical lecture of their own. Feedback was shared amongst the class and apart from the professional feedback of Mr Psaila himself, candidates could discuss their work with their peers in a healthy environment which was – let me state the obvious, here – conductive to learning. 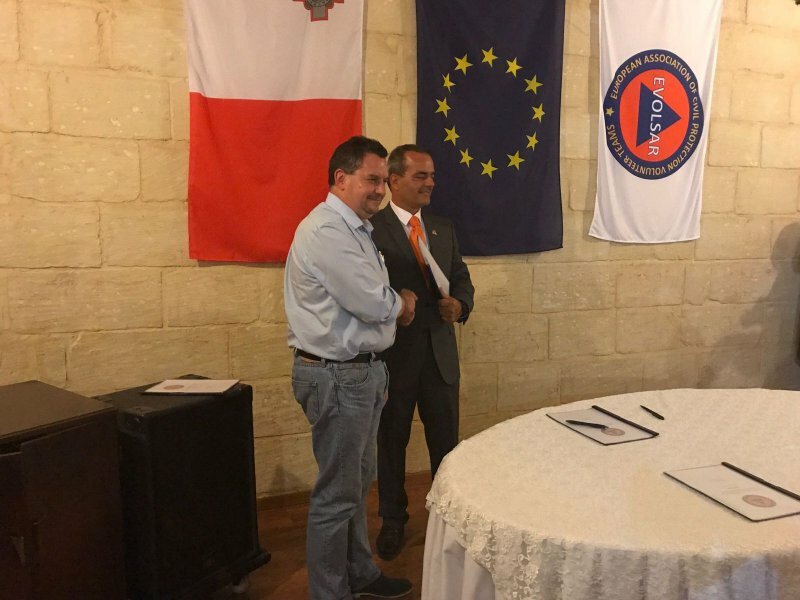 This opportunity would not have been for us to grab, had it not been for the Malta Council for the Voluntary Sector and the funds made available through the Training Initiative Scheme. 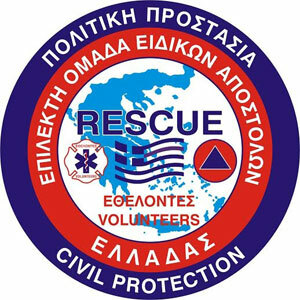 Under the umbrella of its second priority – ‘Voluntary Organisations Training Programs’ – the EFRU was not only able to apply for funds for this course, but was also encouraged to rope in another volunteering organisation, MOVE, three members of which joined the EFRU members for training. A good 85% of the funds were forked out by the MCVS while both NGOs only had to cover the remaining 15%. It is worth pointing out that this has not been the only opportunity given to EFRU to augment knowledge in the field. 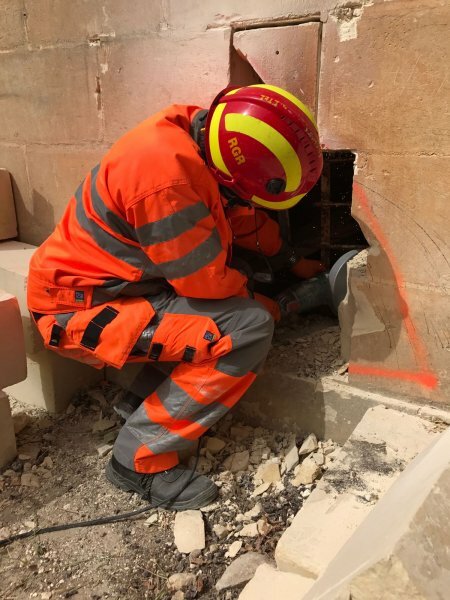 A few weeks back, thanks to the support given through the Training Initiative Scheme, Priority 1, three different volunteers were given training in Portugal by professional instructors from the Escola Portuguesa de Salvamento on USAR and Cave Rescue. Co-funded opportunities such as the ones just mentioned are well worth their weight in gold. Without them, the organisation’s chances of paying costs for valuable but expensive training would be rather meagre. 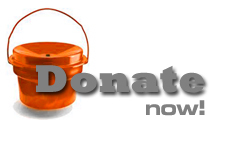 For the MCVS and the local funds made available to us, we are grateful. Furthermore we cannot but thank the individuals who have not only sought and targeted these funds, but who painstakingly compiled applications and met difficult deadlines so that our cause may be heard, justified and eventually given the much-needed financial boost to make it possible. 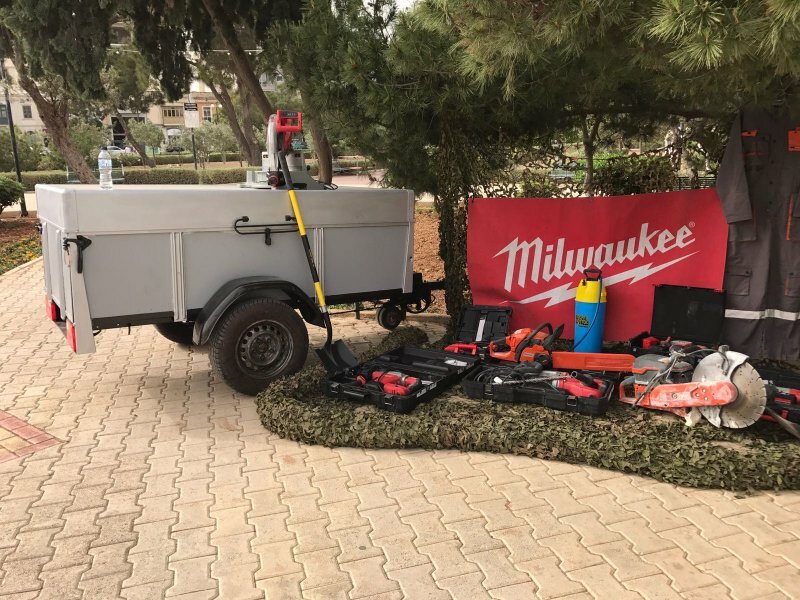 This project has been funded through the Training Initiatives Scheme managed by the Malta Council for the Voluntary Sector. This article reflects the views only of the author, and the MCVS cannot be held responsible for the content or any use which may be made of the information contained therein.